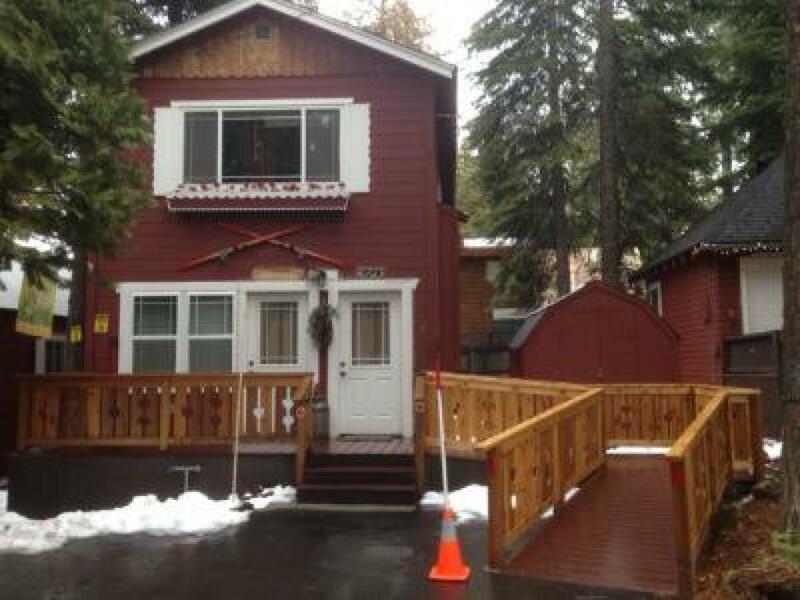 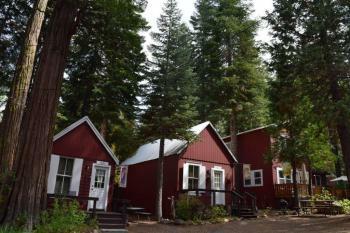 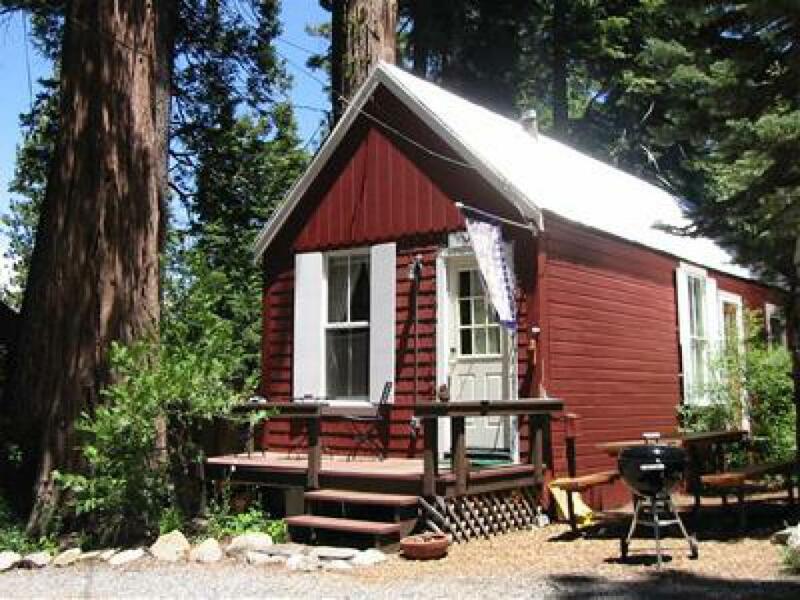 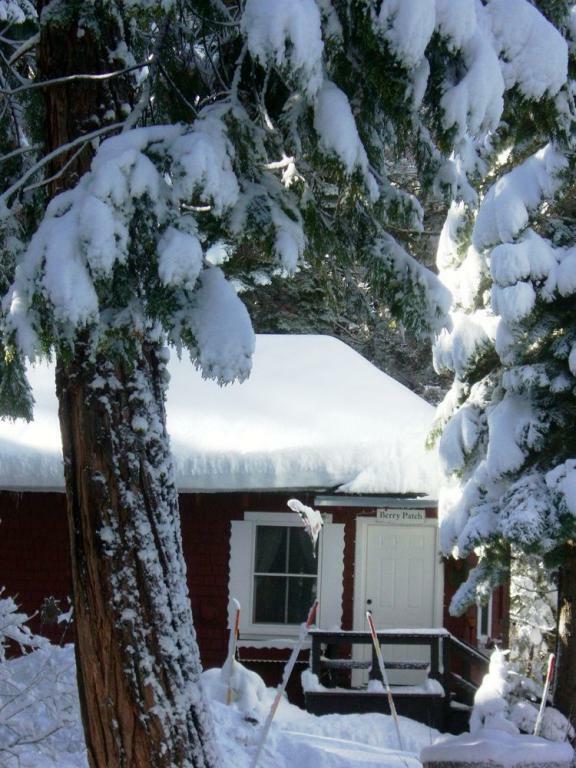 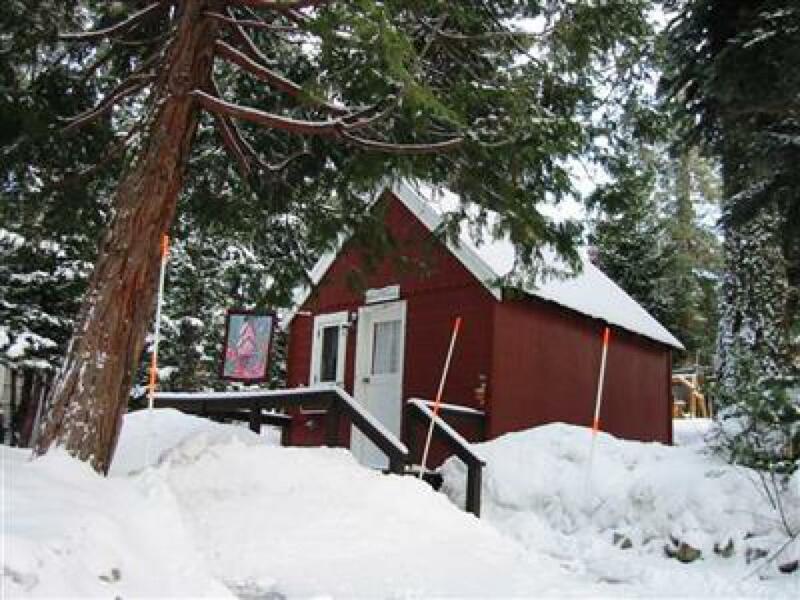 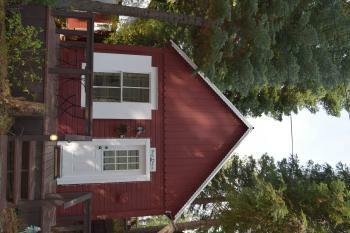 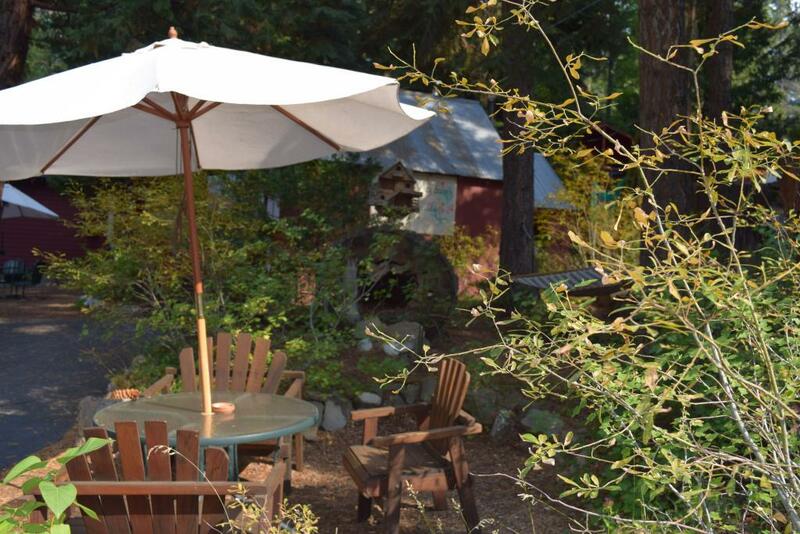 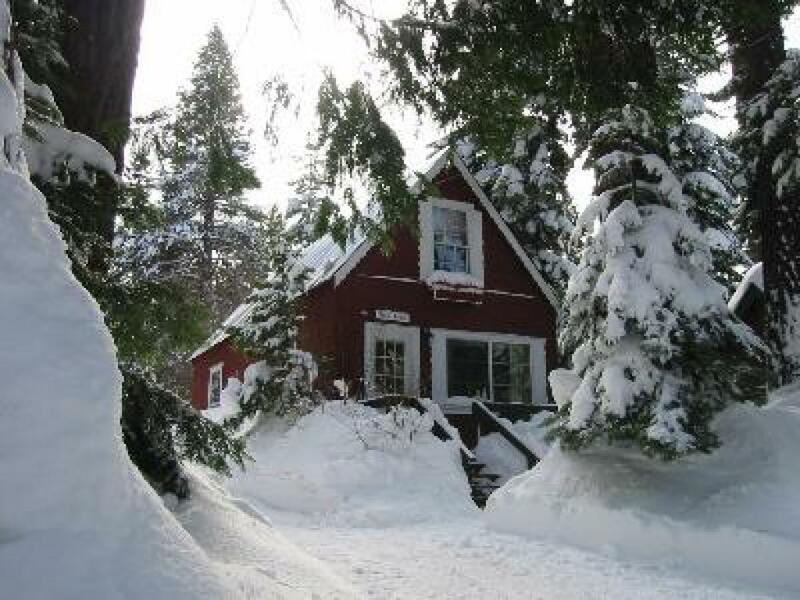 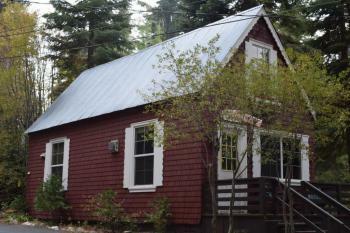 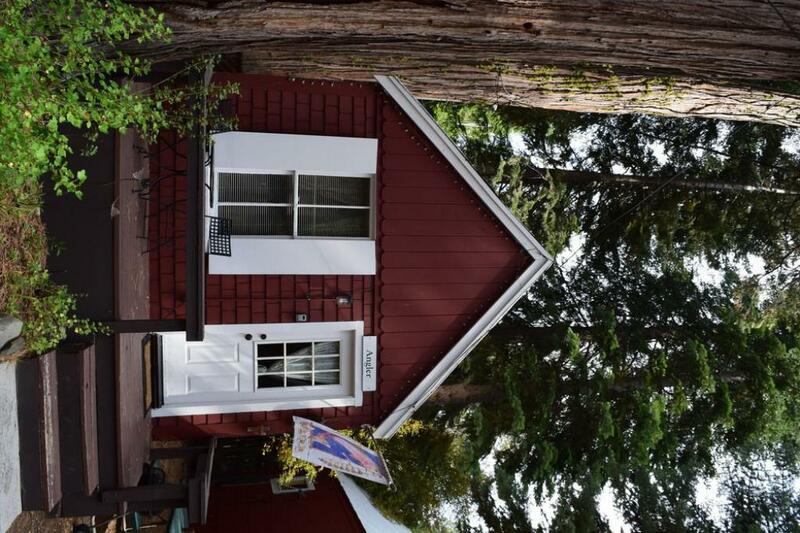 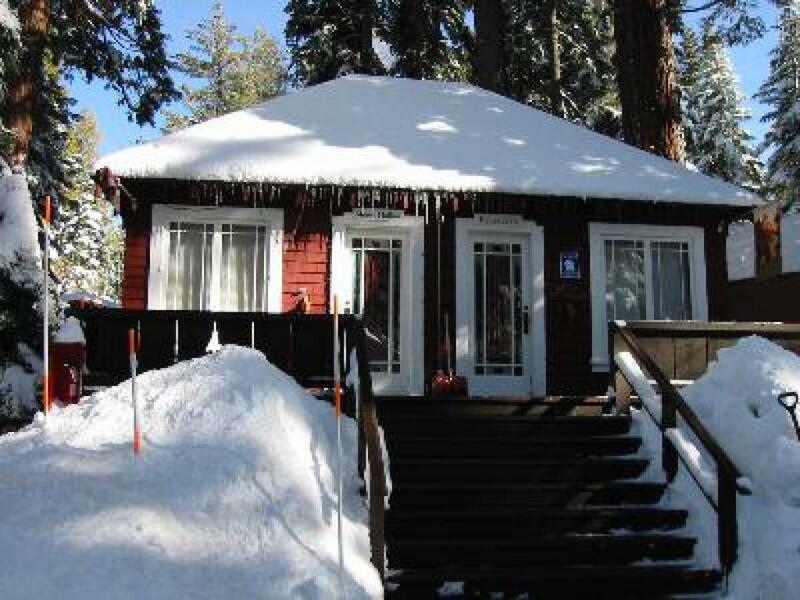 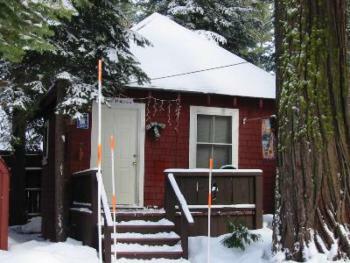 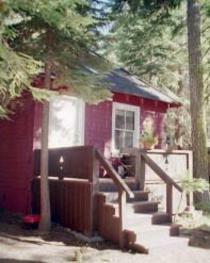 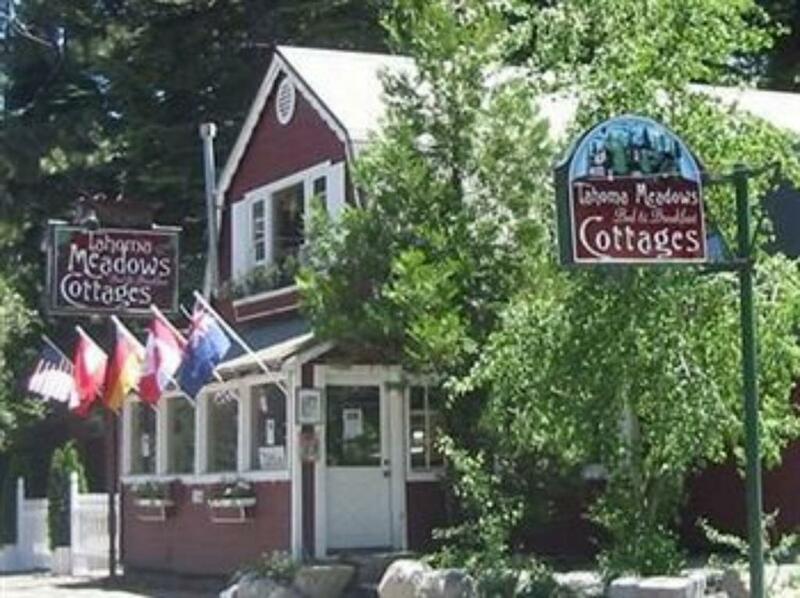 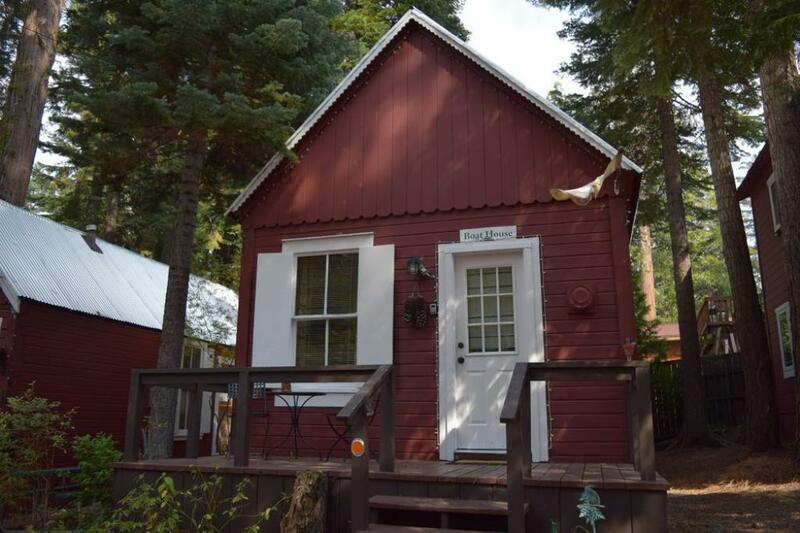 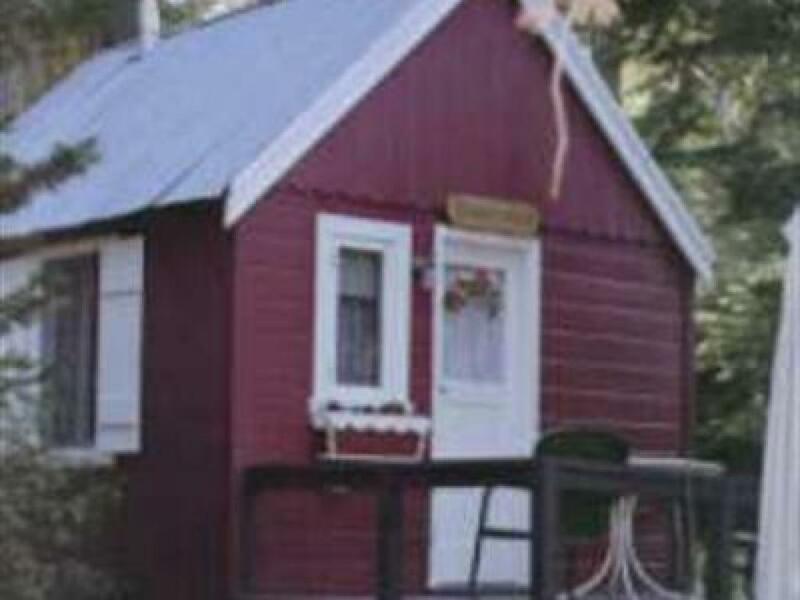 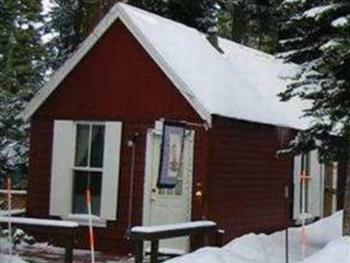 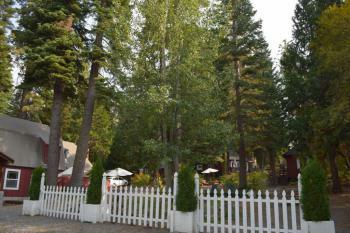 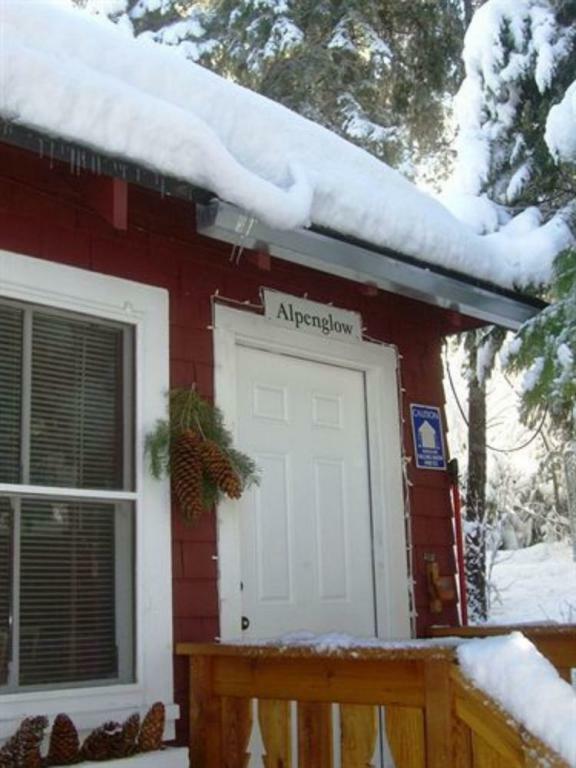 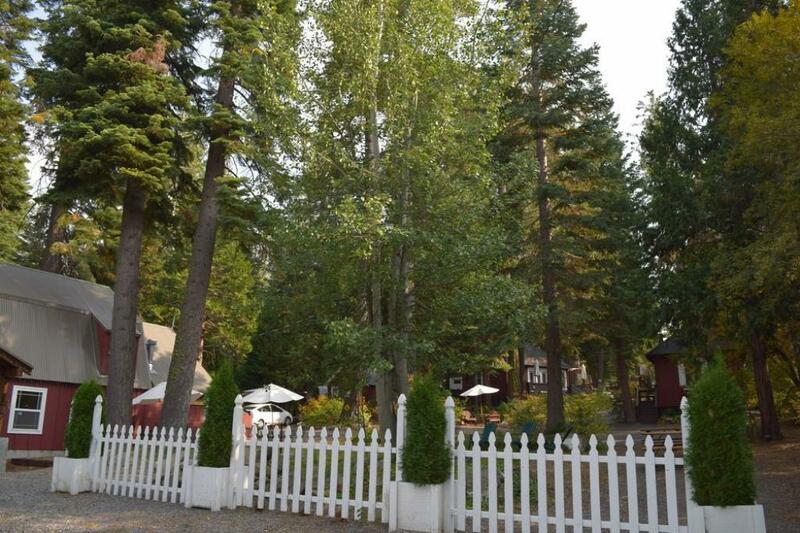 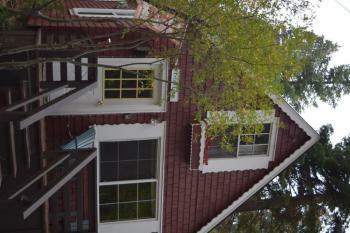 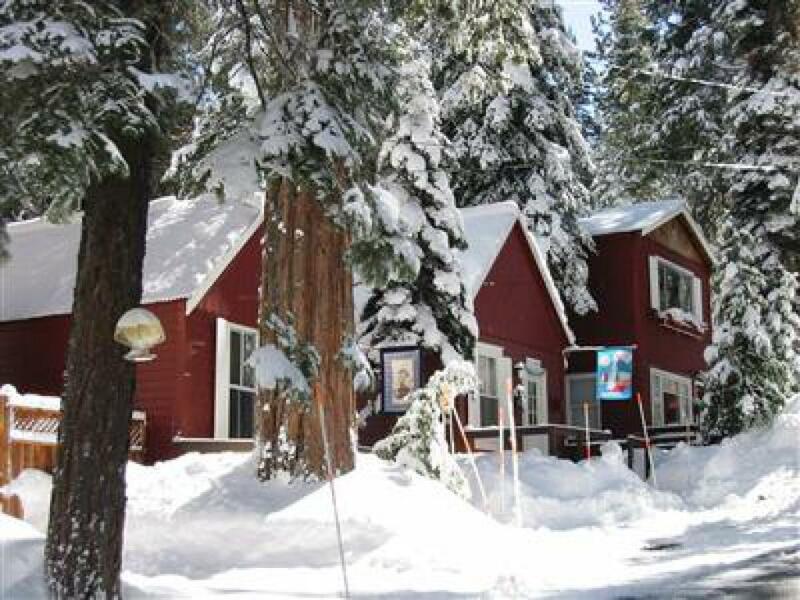 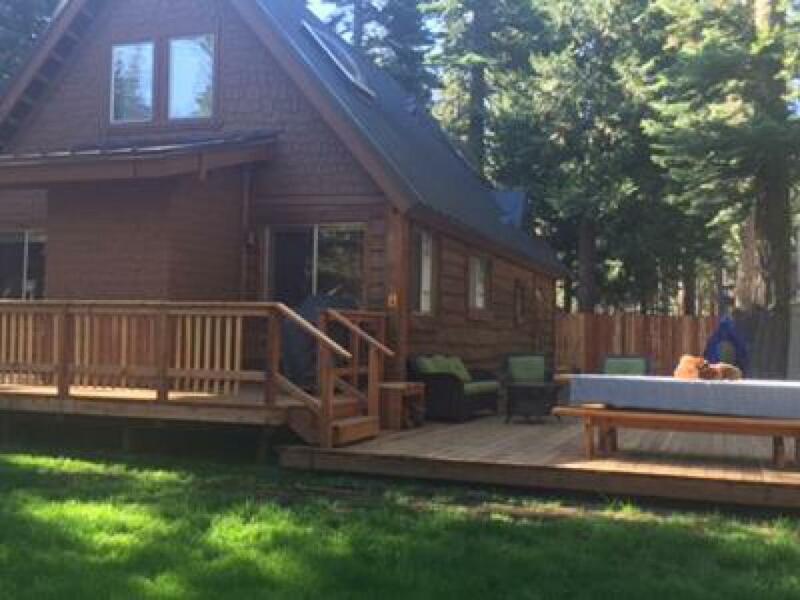 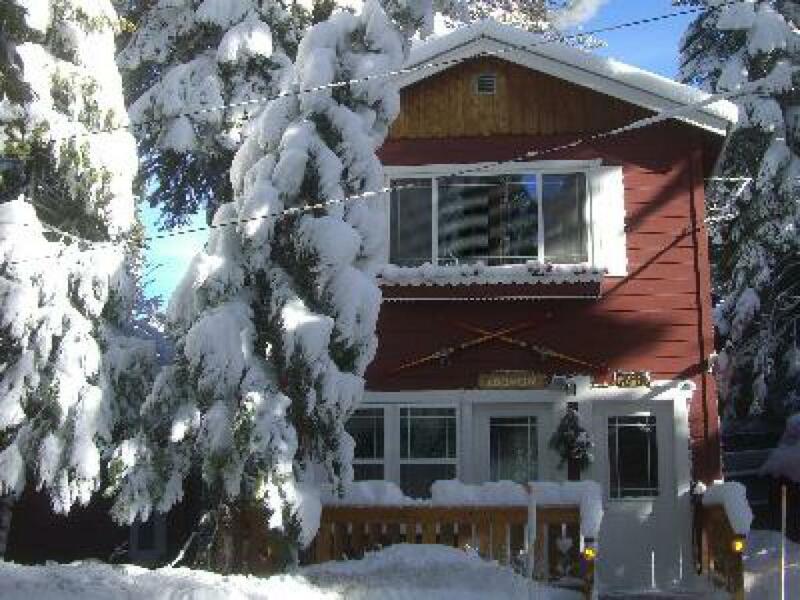 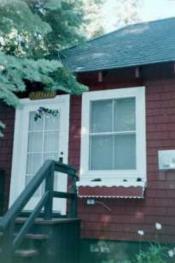 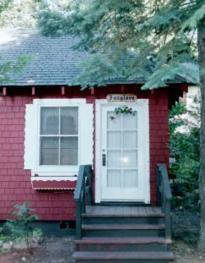 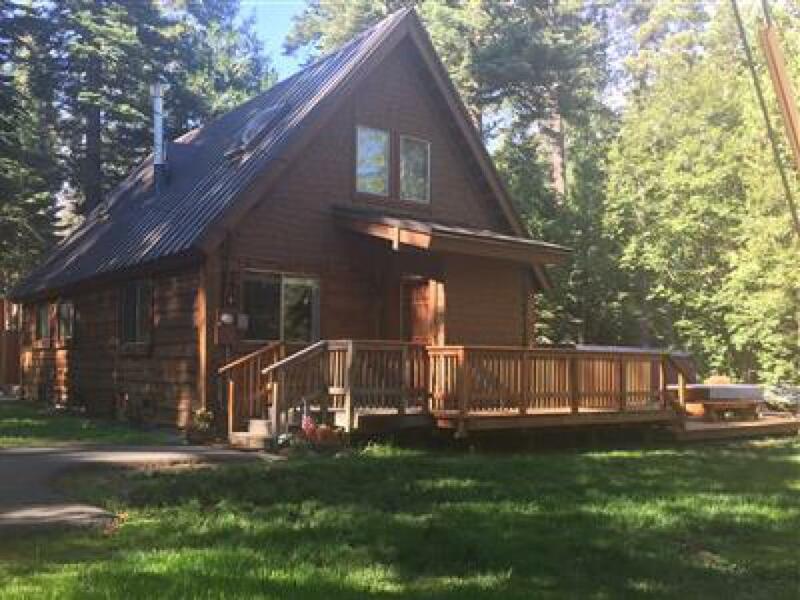 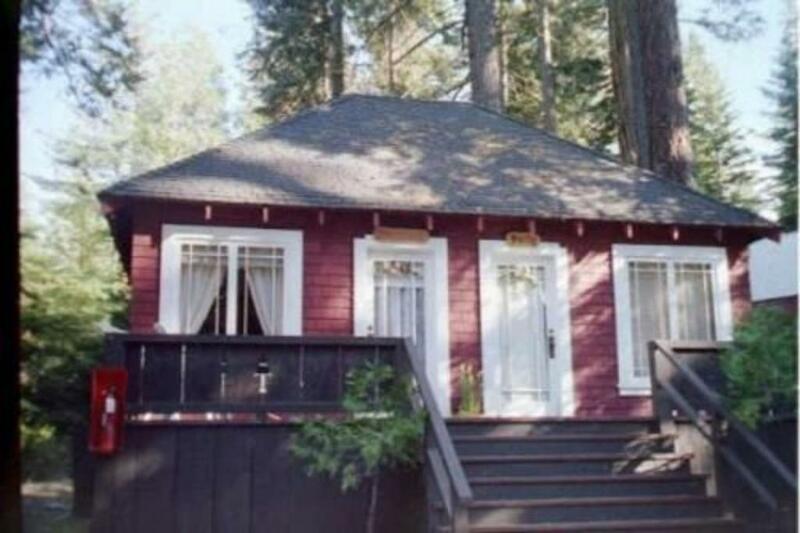 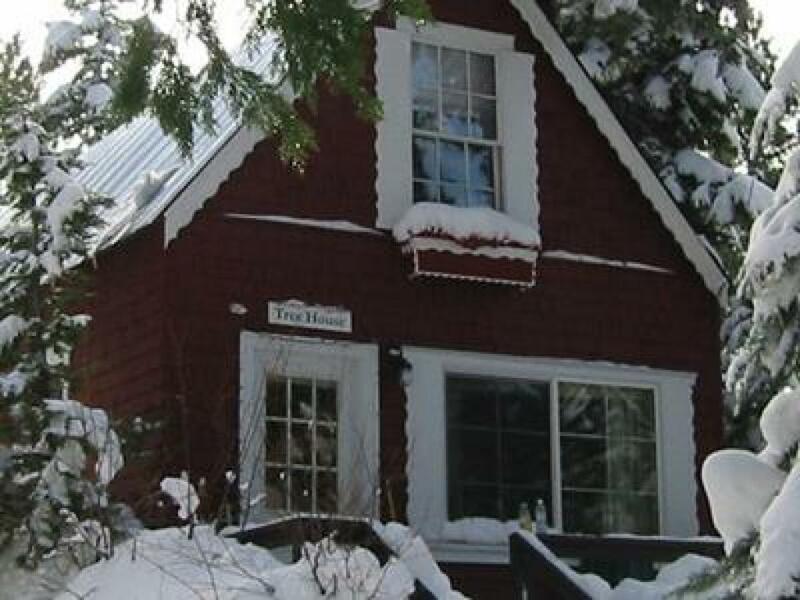 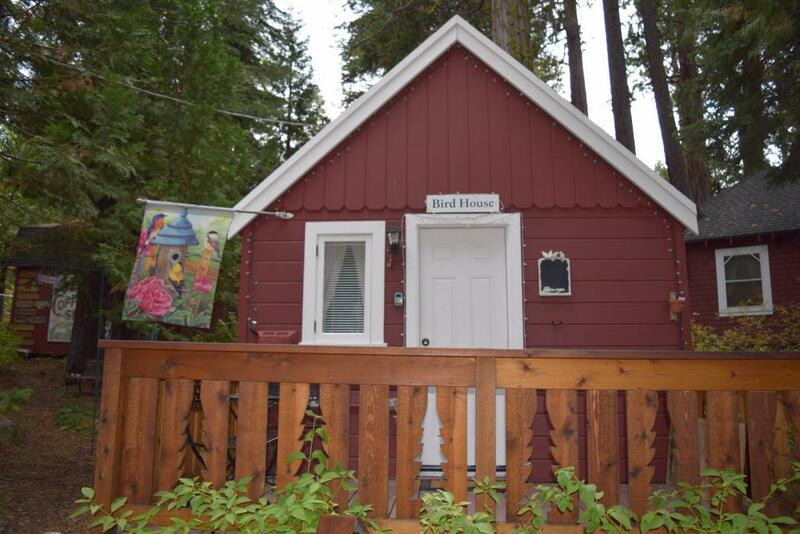 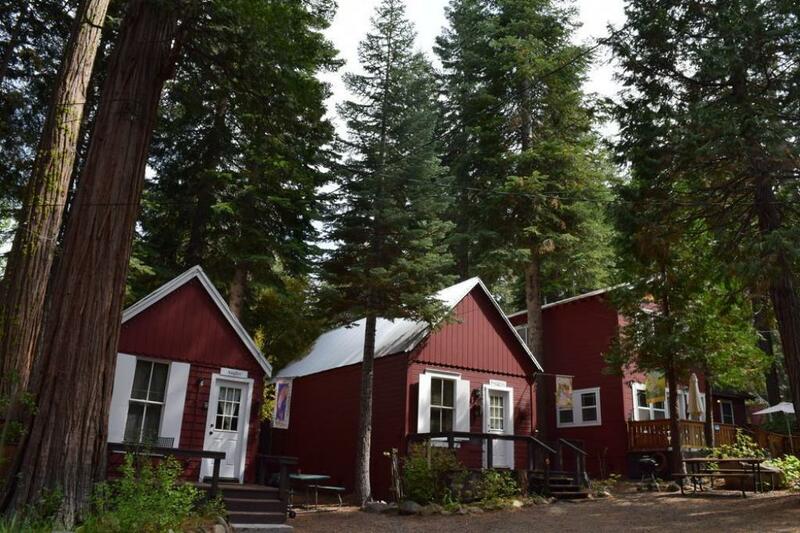 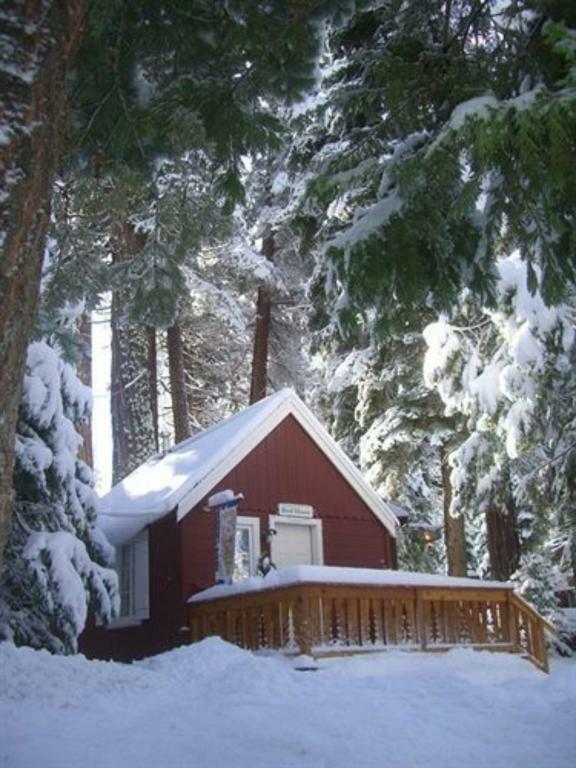 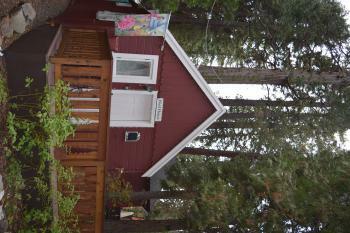 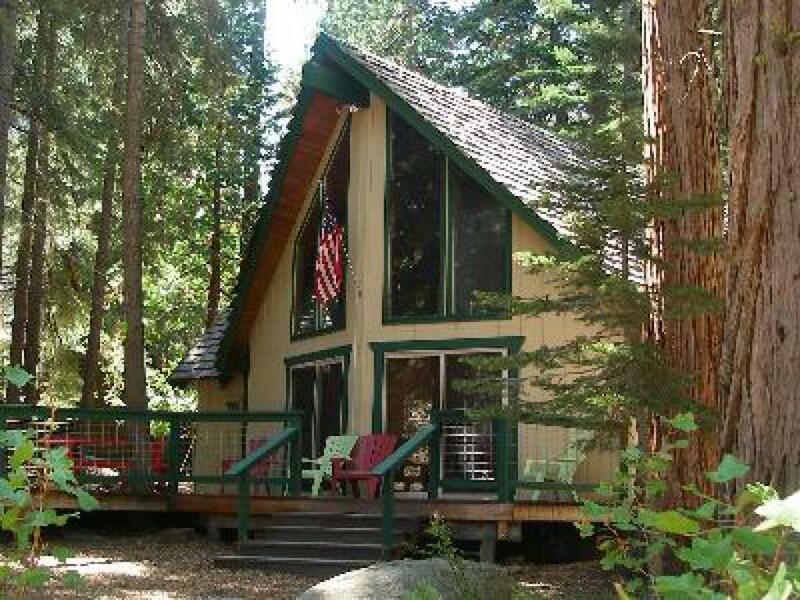 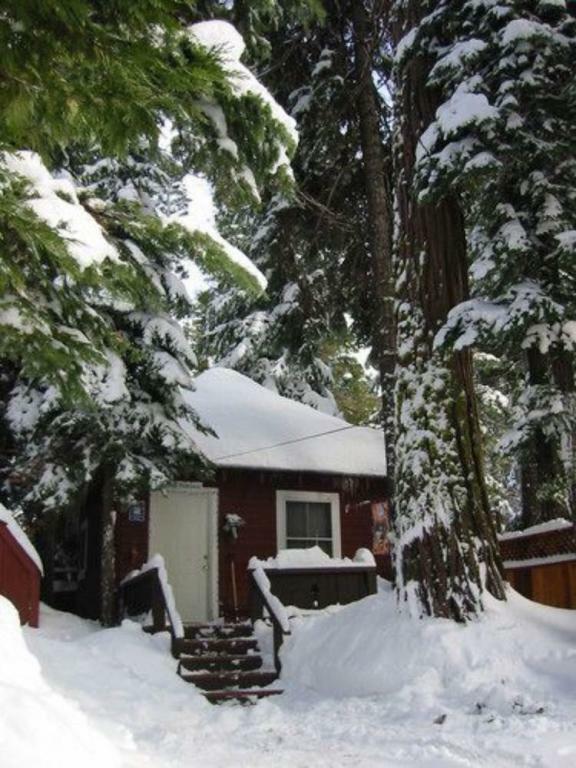 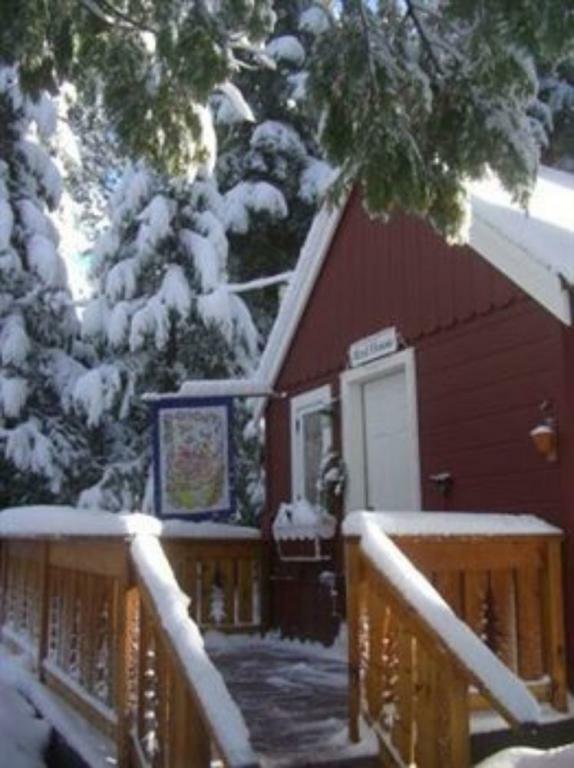 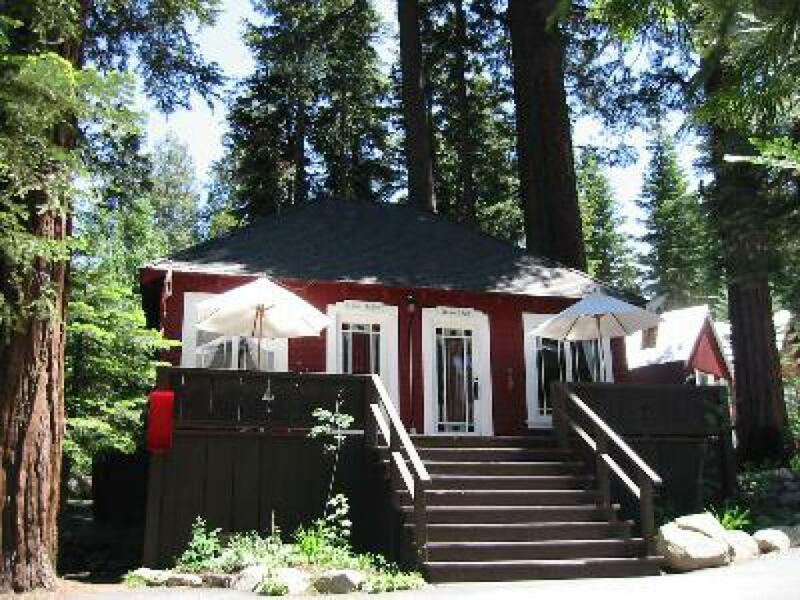 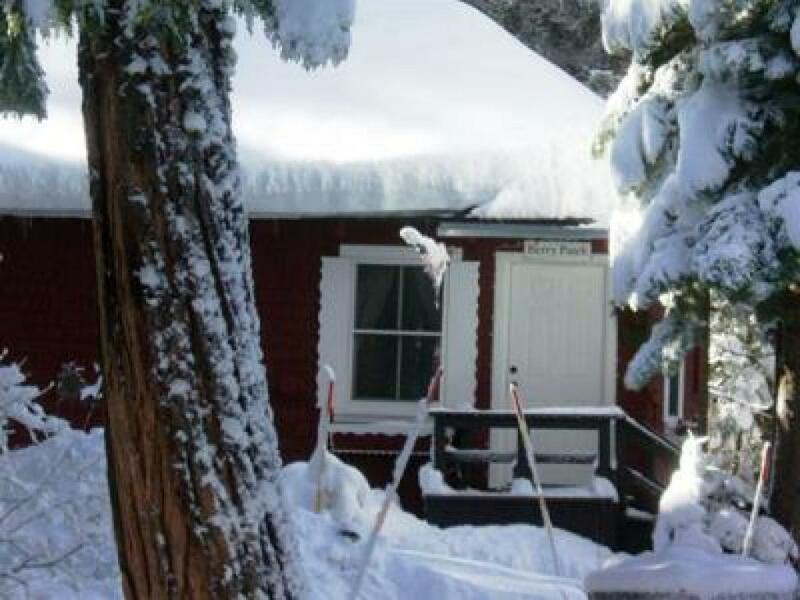 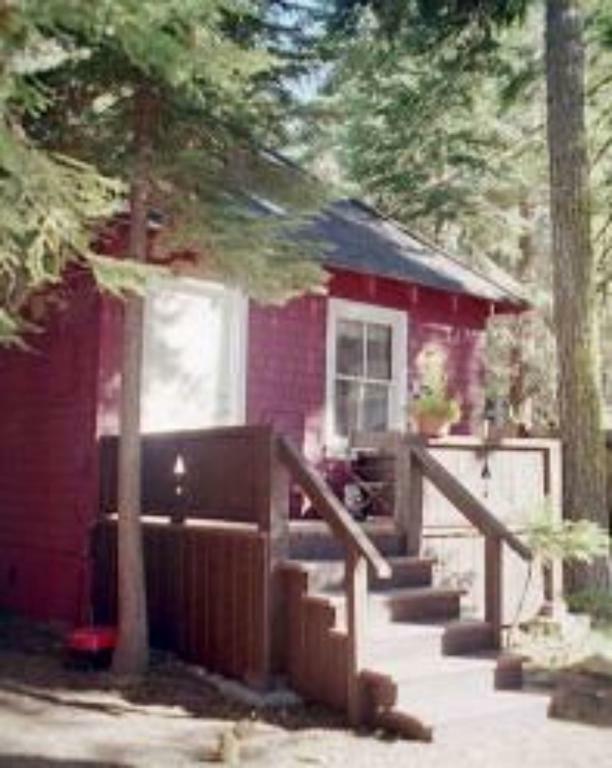 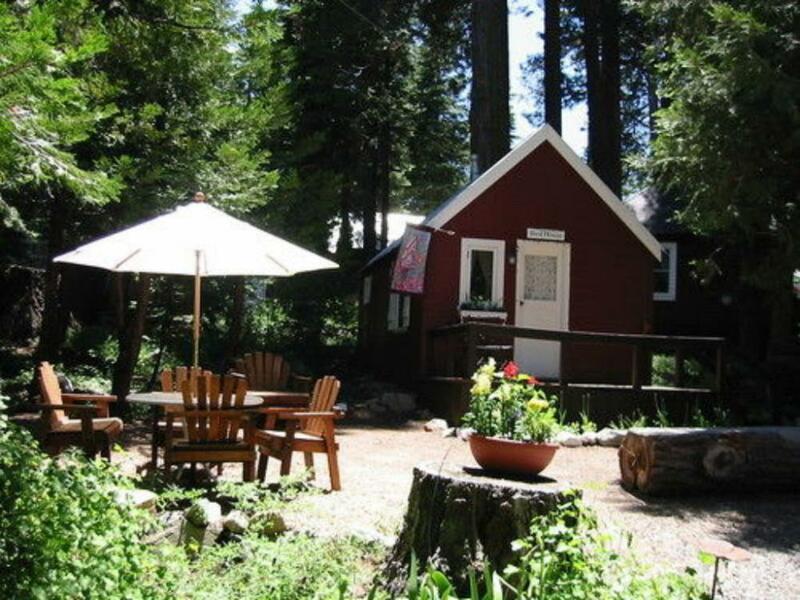 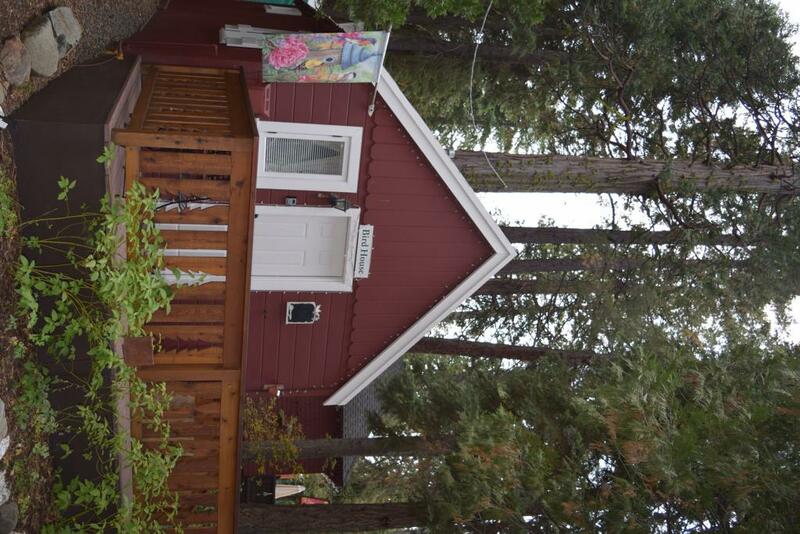 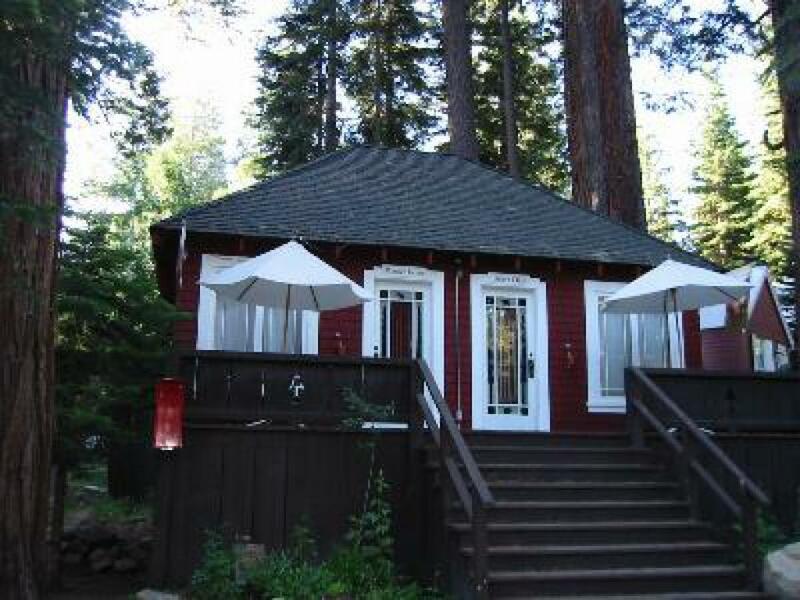 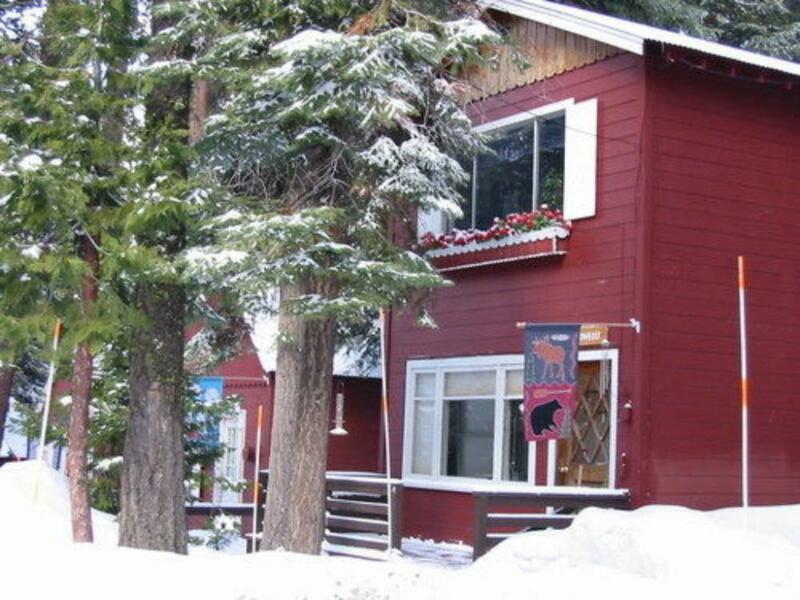 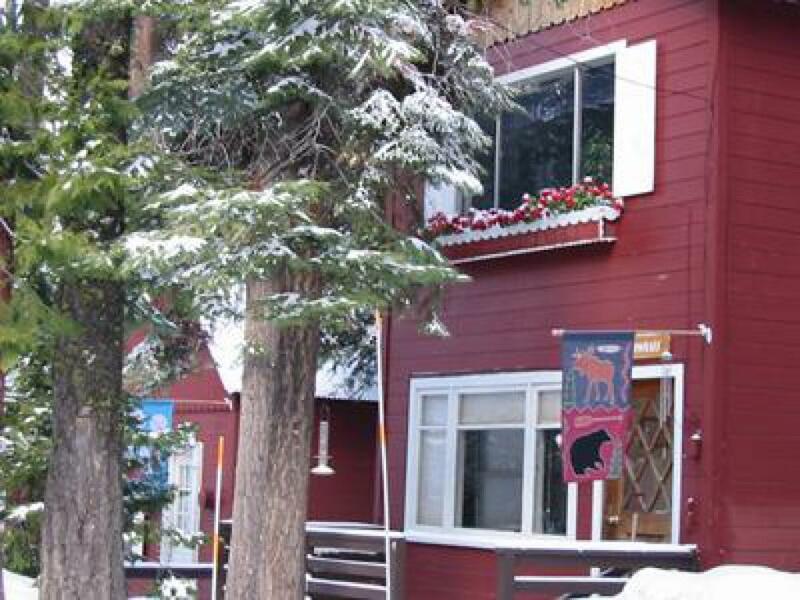 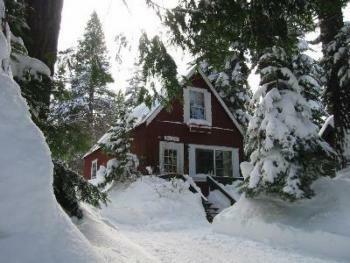 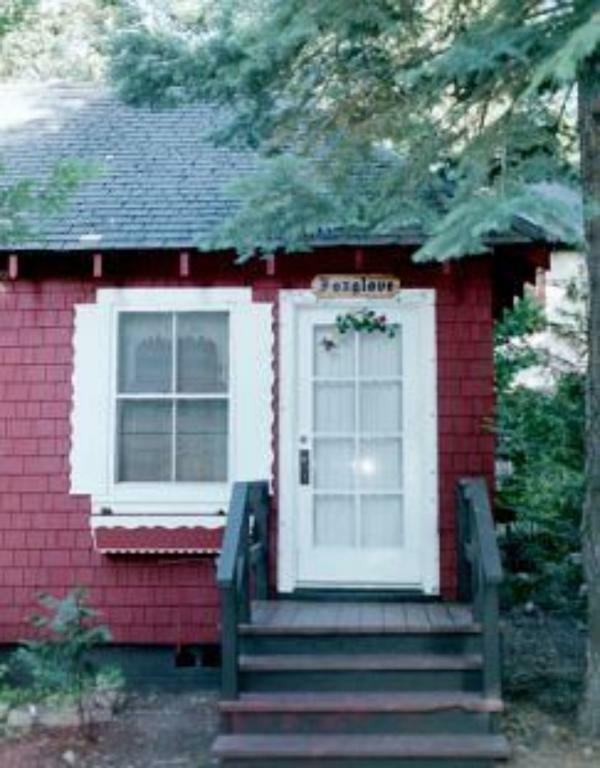 Come and experience our 16 historic (charming/cozy/) little red cottages nestled under Sugar Pines on Lake Tahoe's magical West Shore. 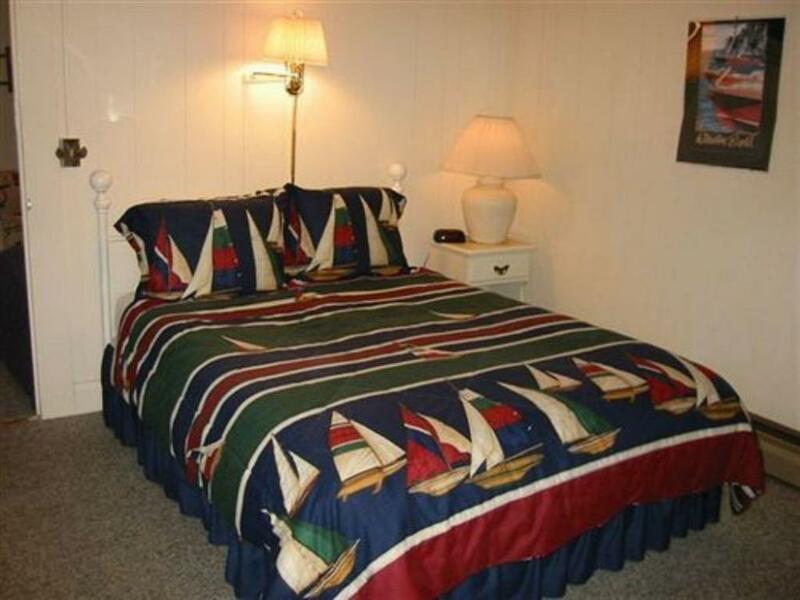 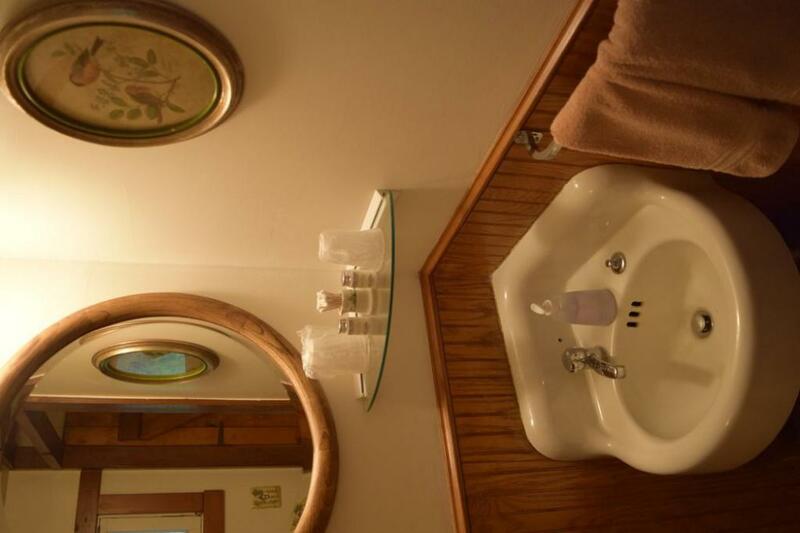 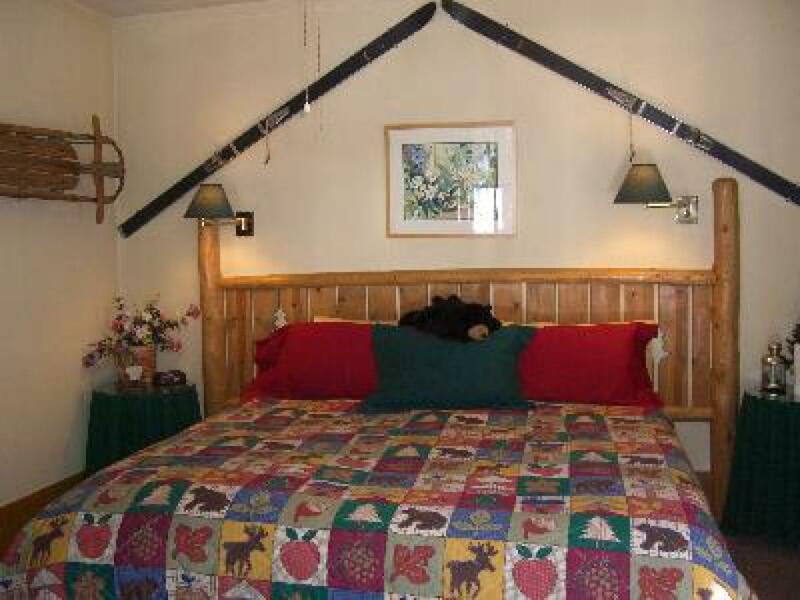 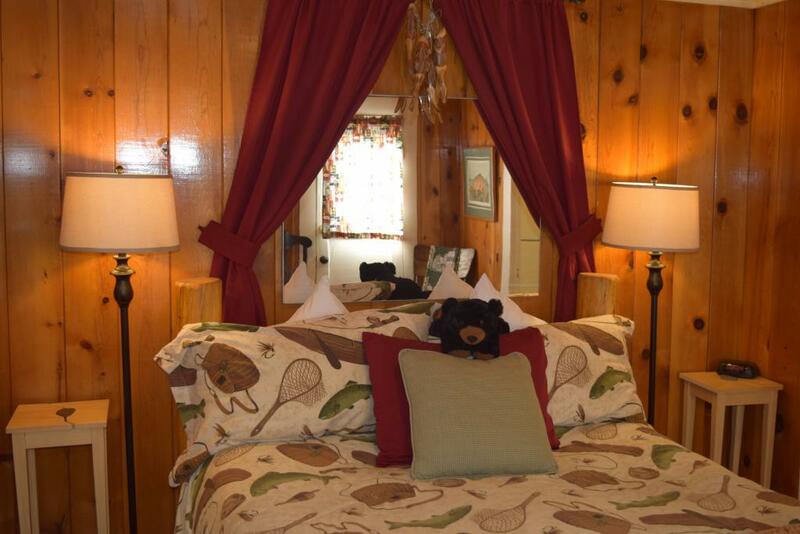 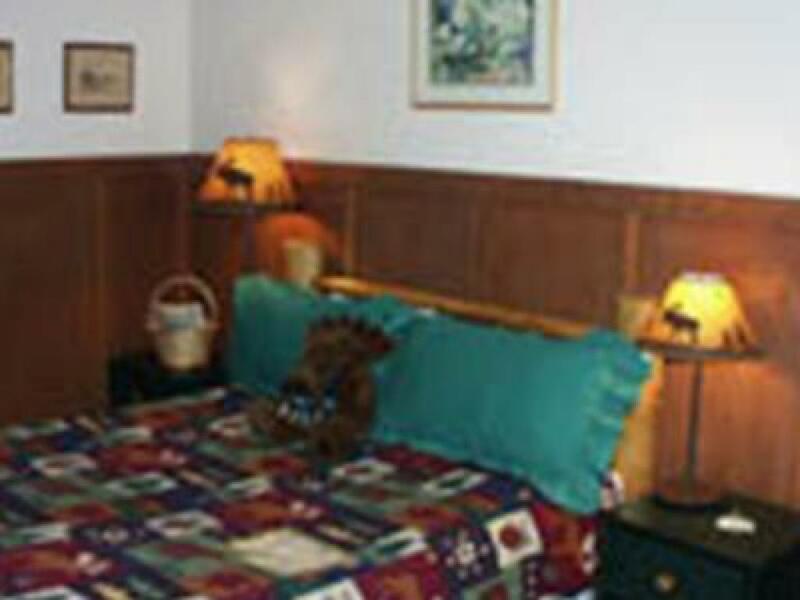 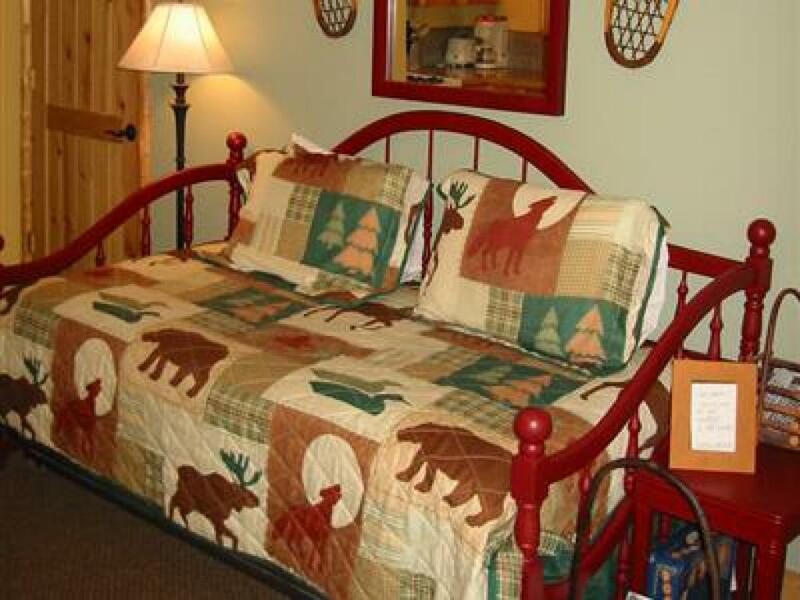 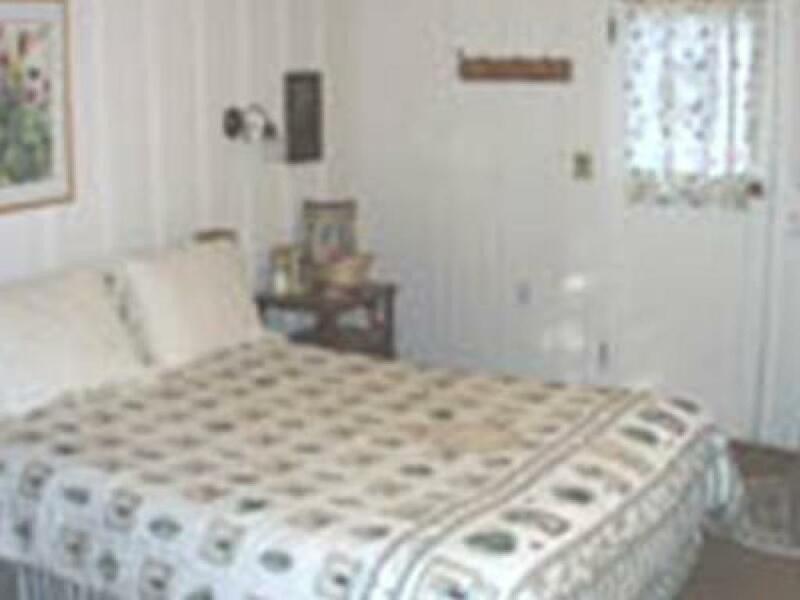 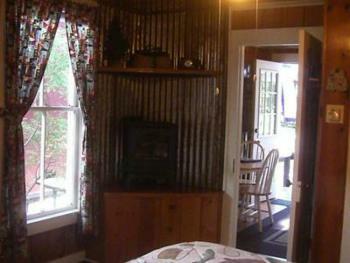 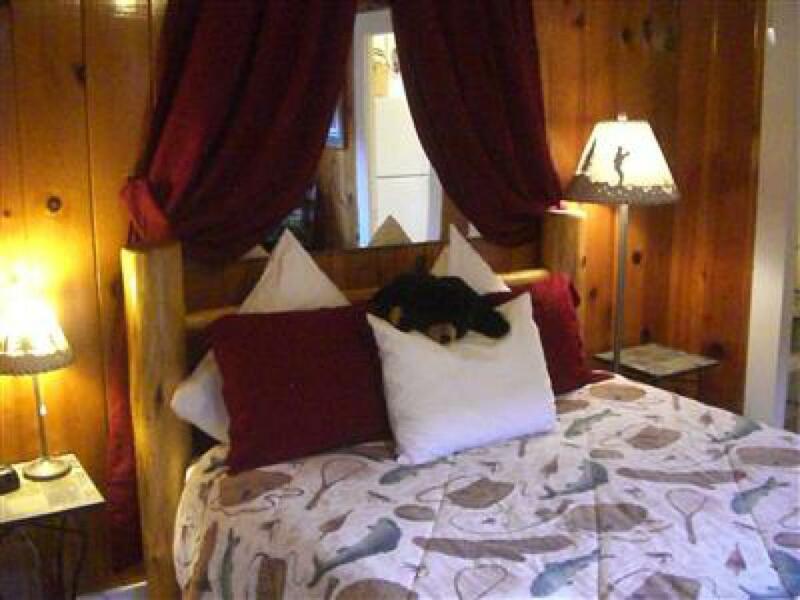 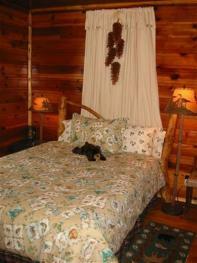 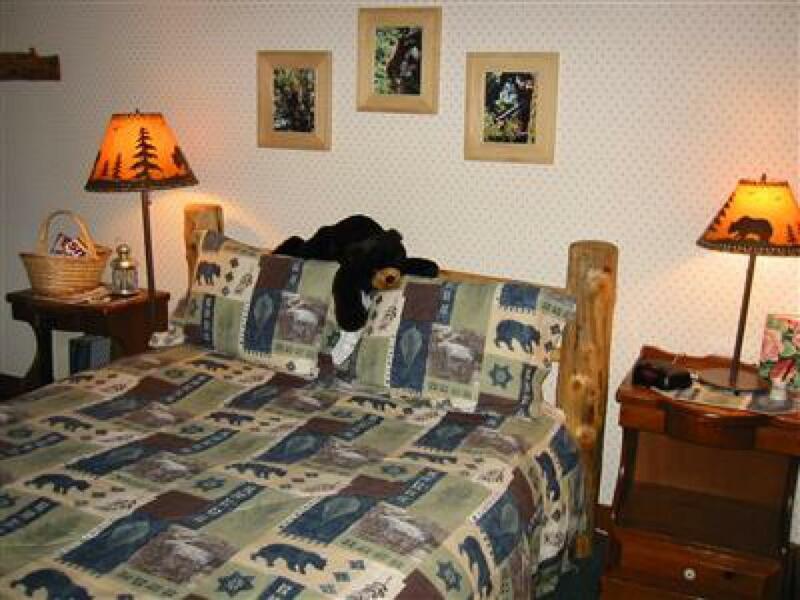 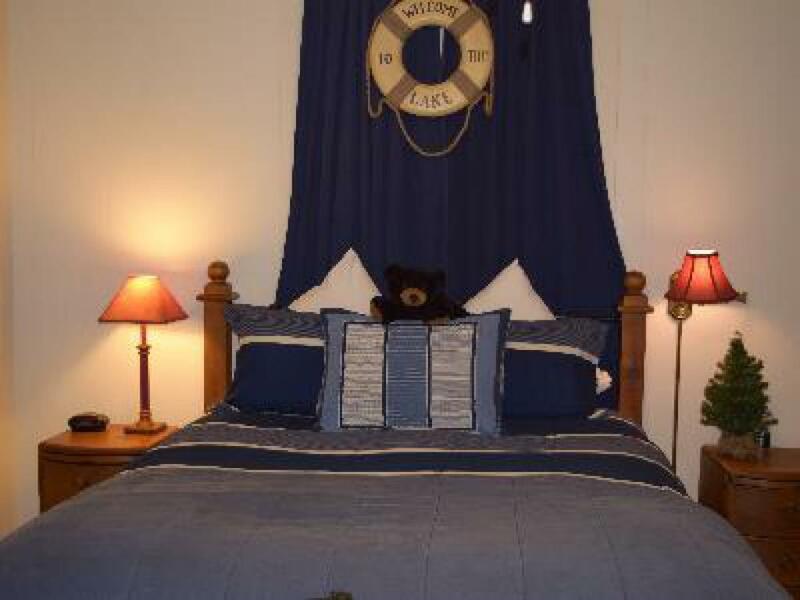 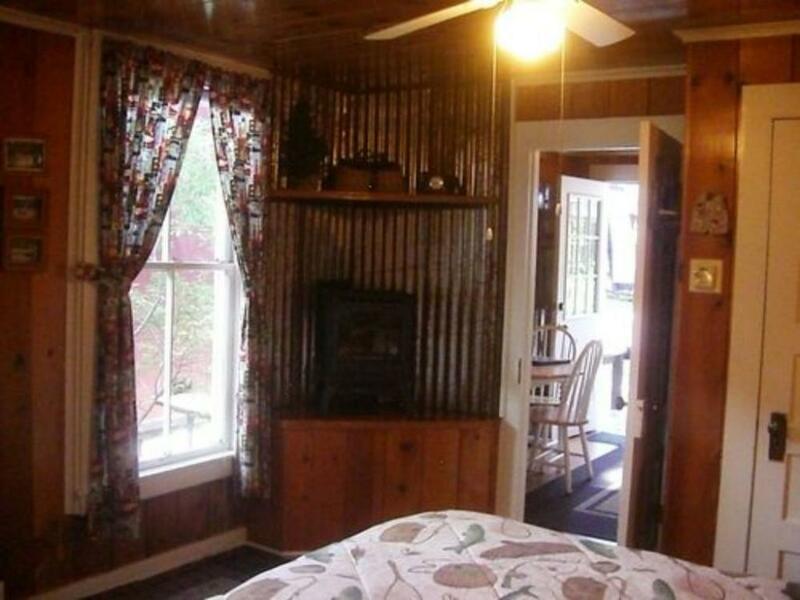 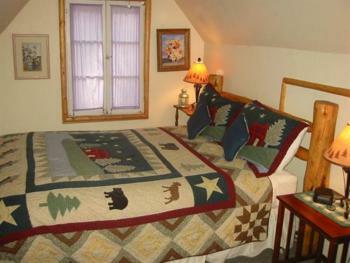 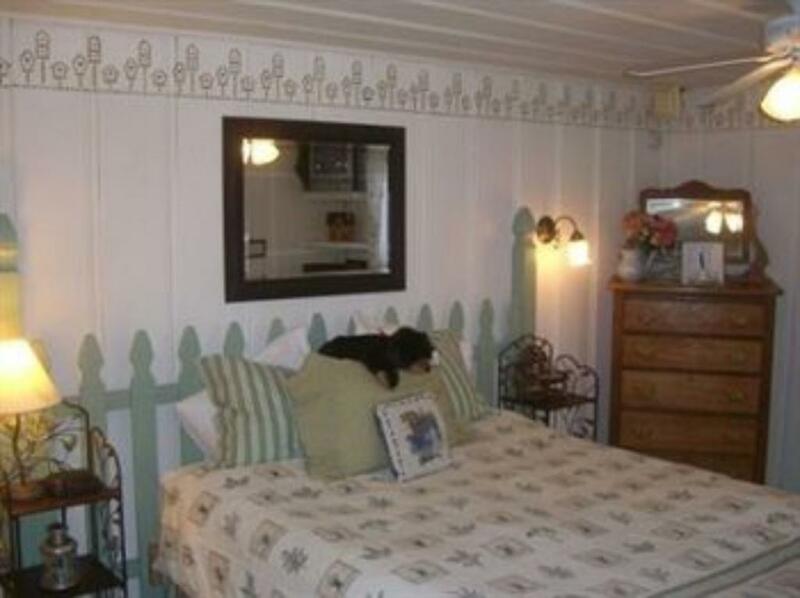 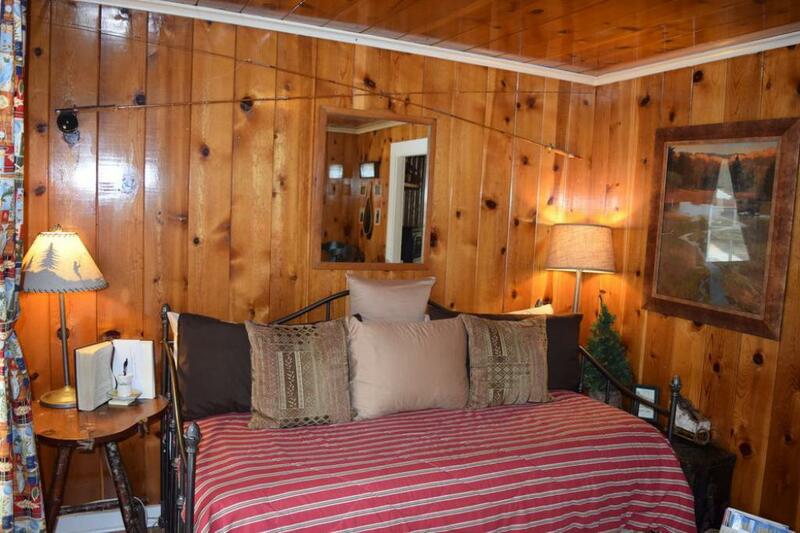 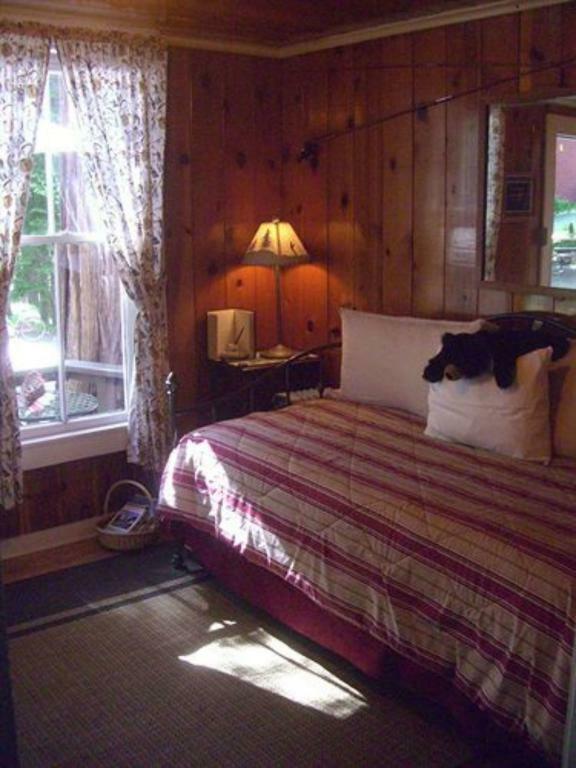 Each cabin is uniquely decorated with ‘Old Tahoe’ mountain charm. 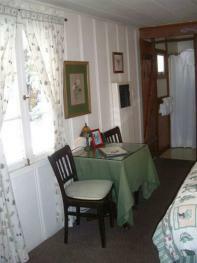 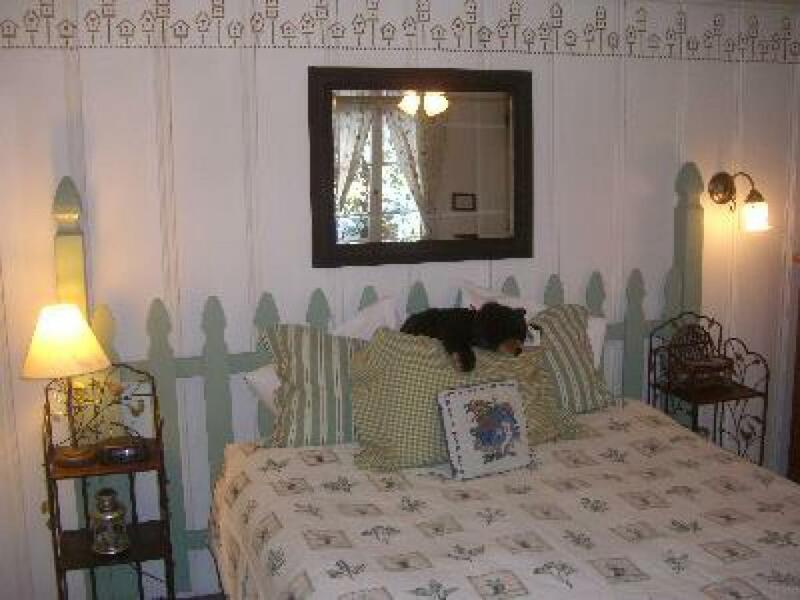 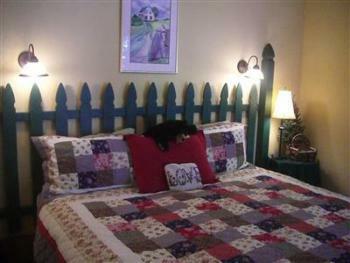 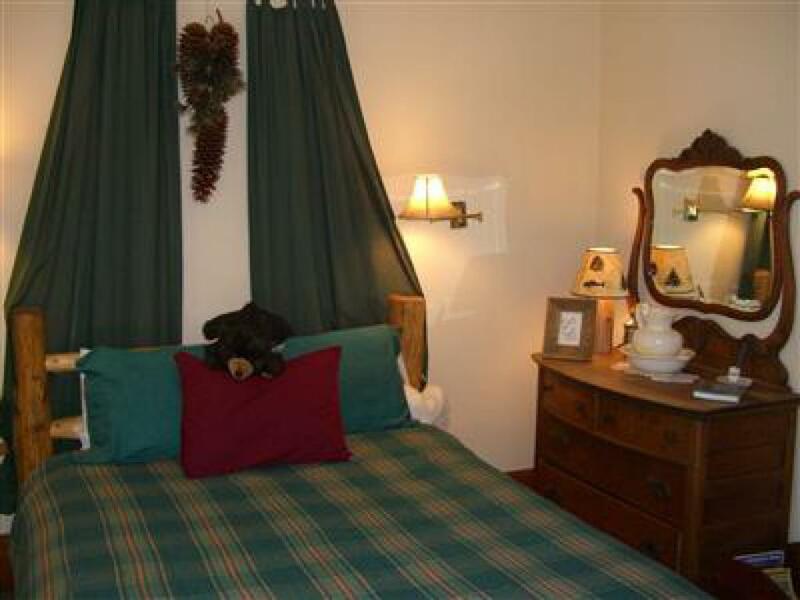 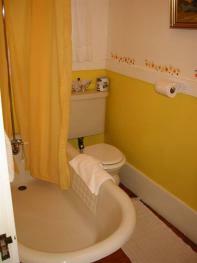 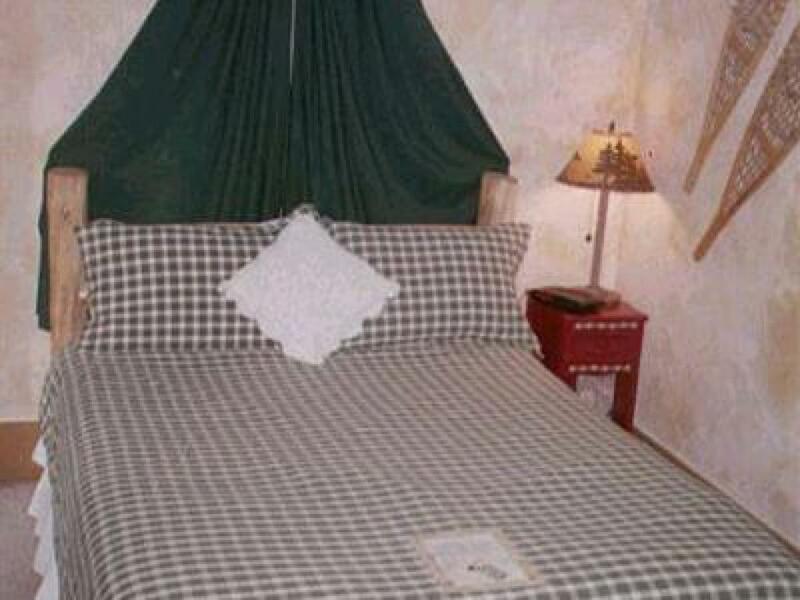 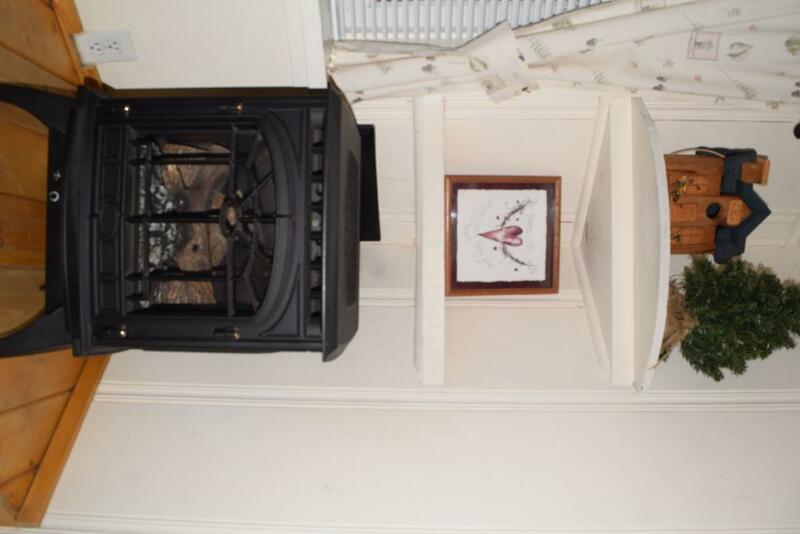 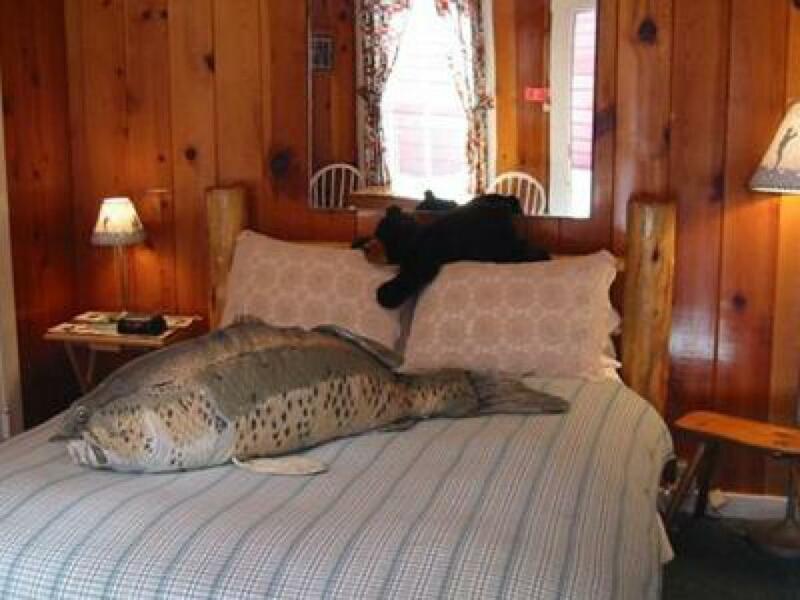 We have cottages for couples, families and even pet friendly cottages. 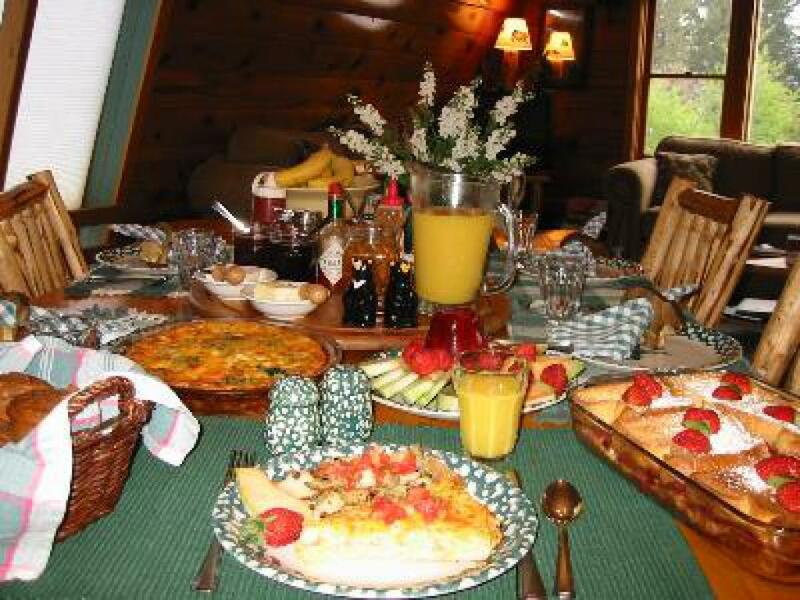 Recently we have added some larger vacation homes nearby the main lodge, which are ideal for larger families and longer stays. 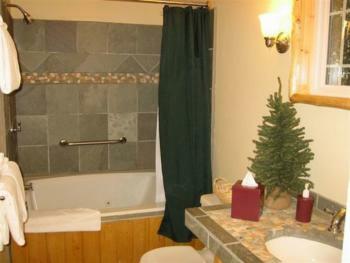 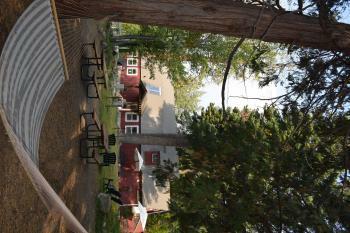 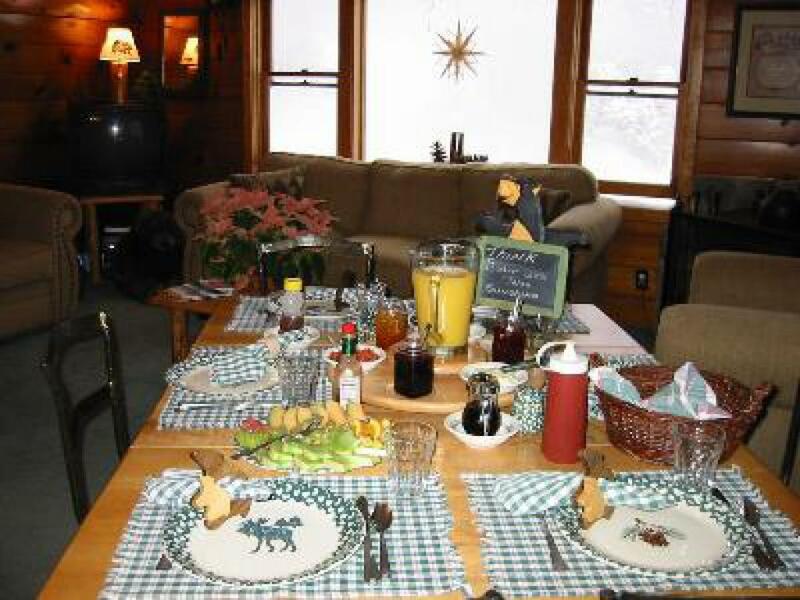 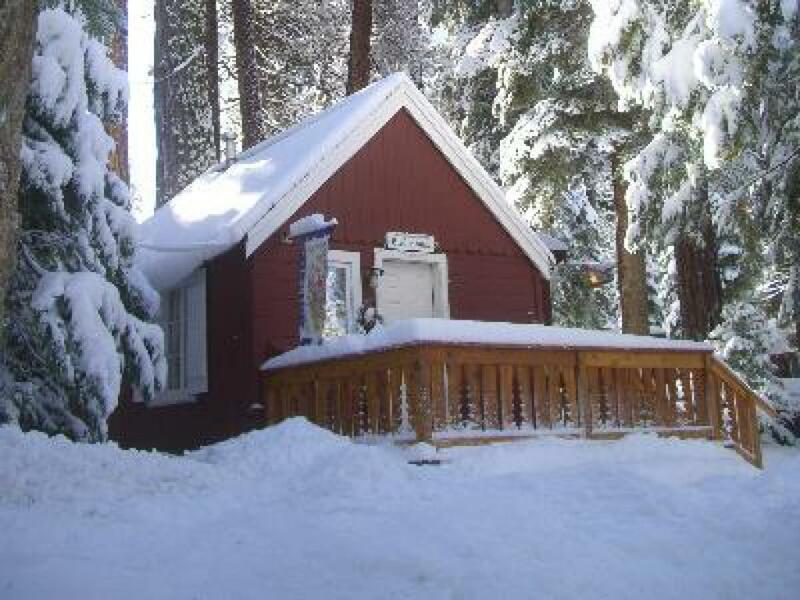 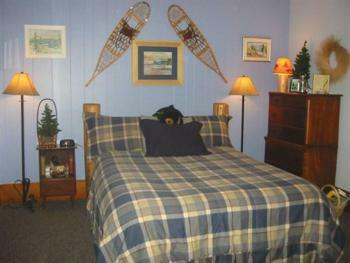 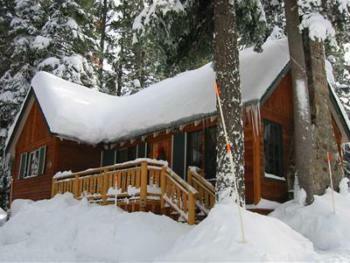 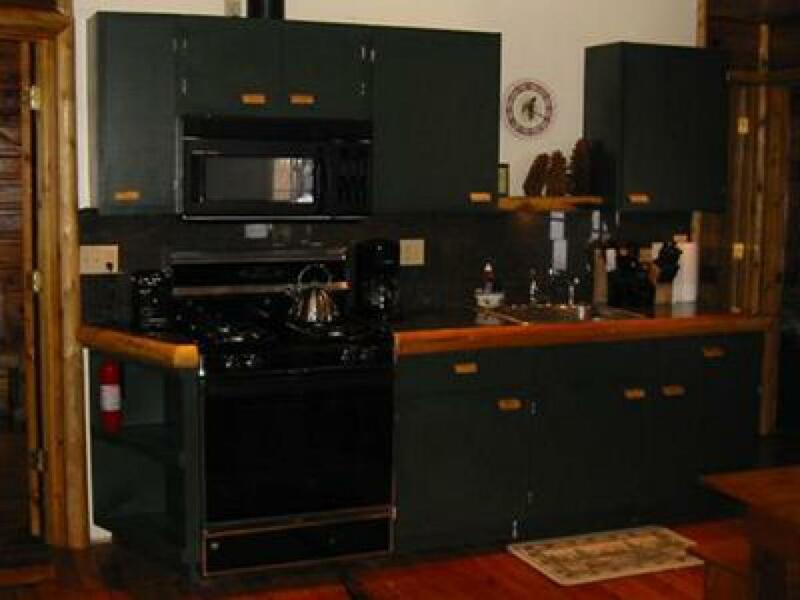 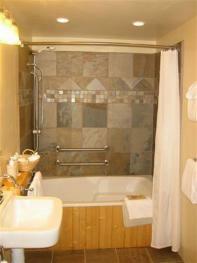 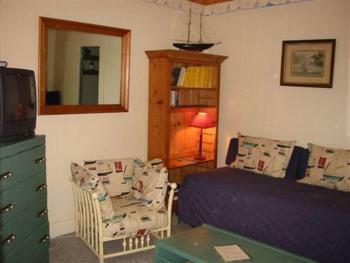 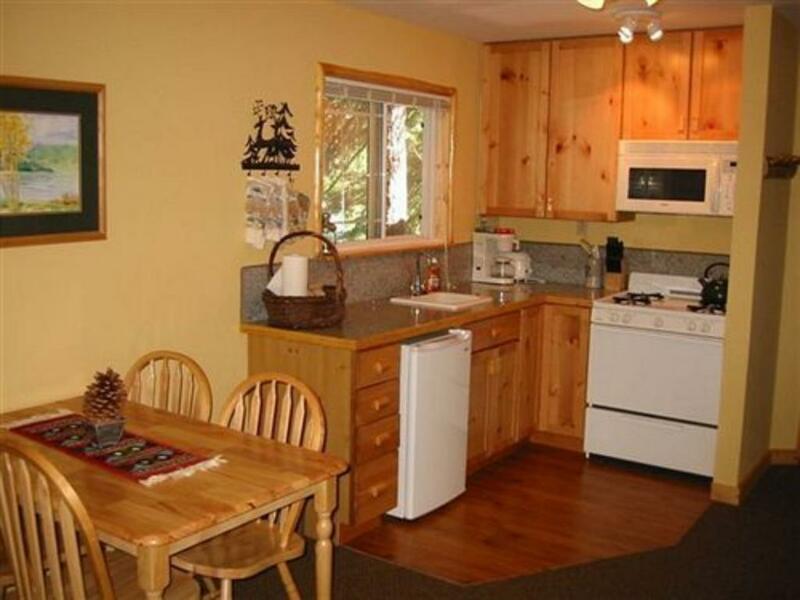 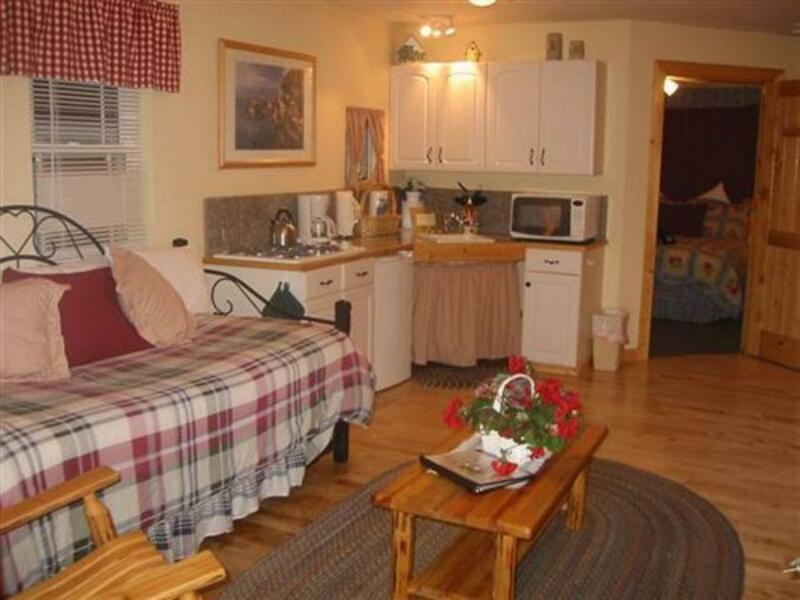 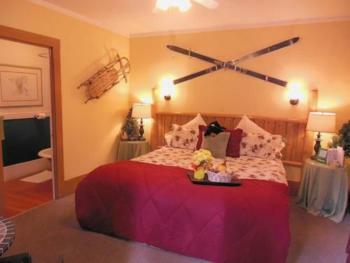 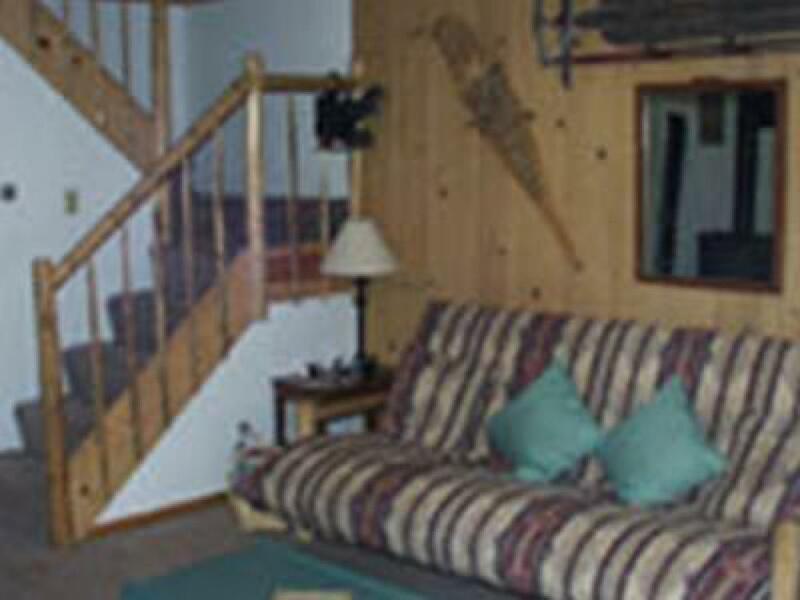 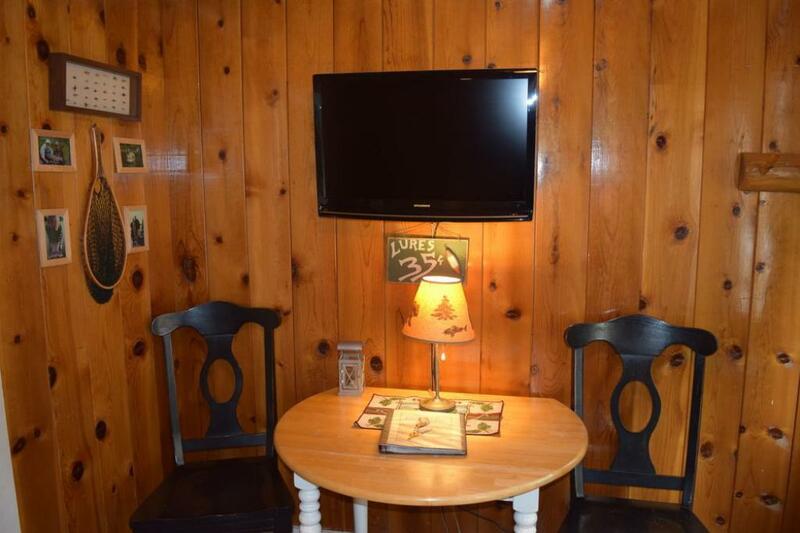 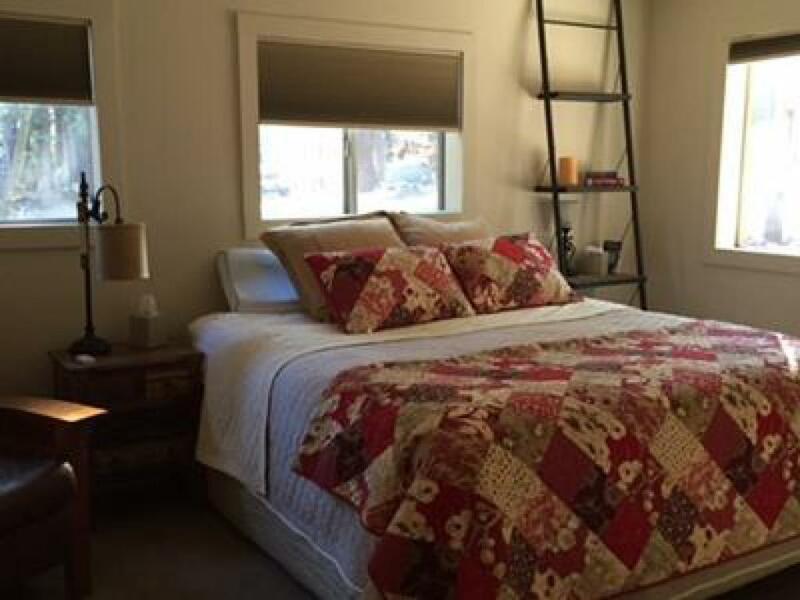 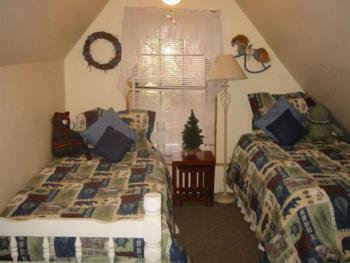 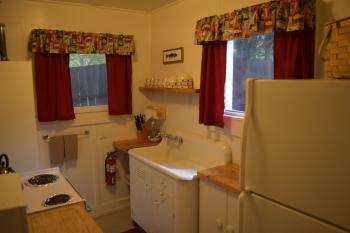 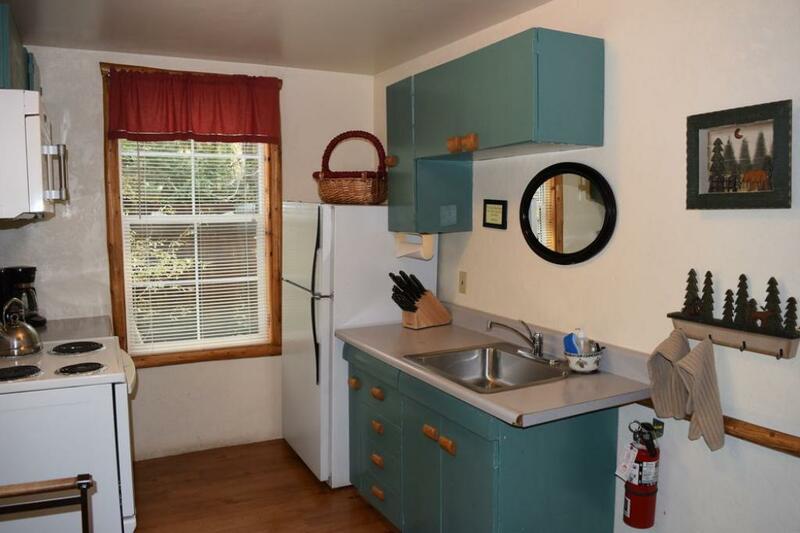 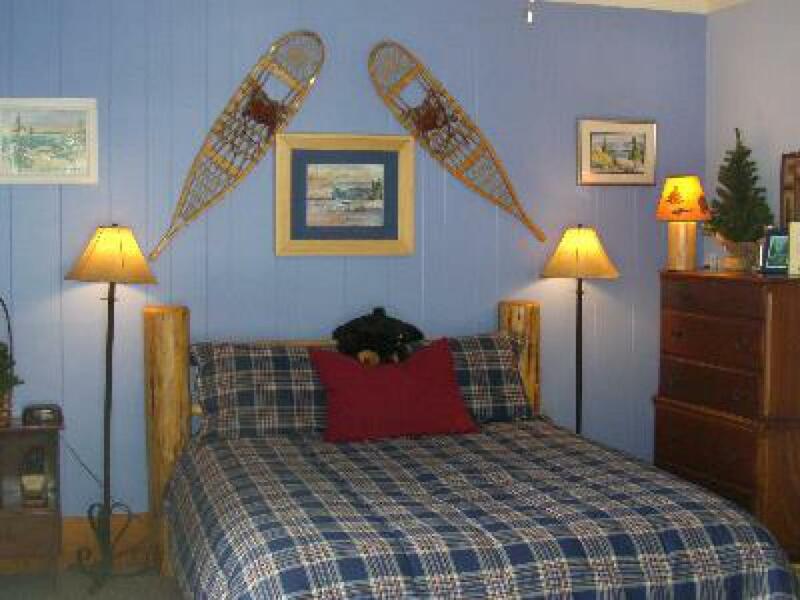 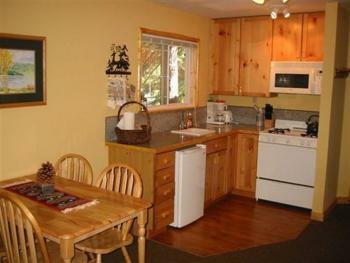 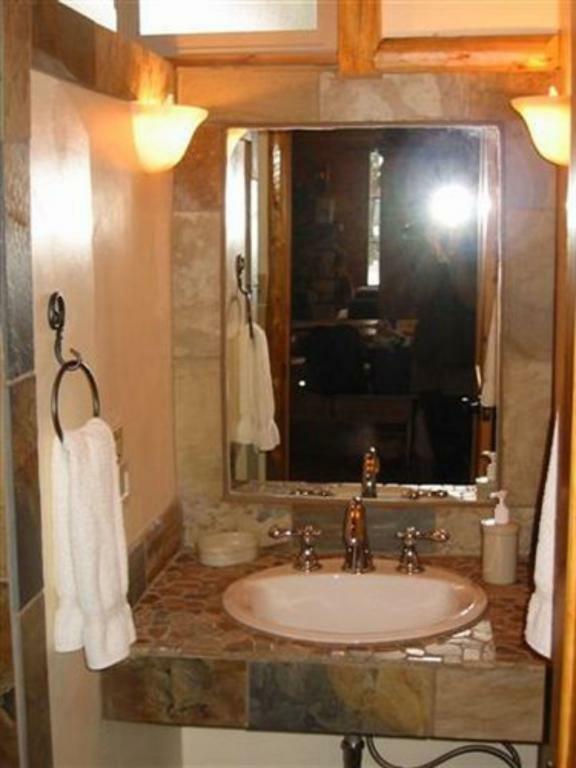 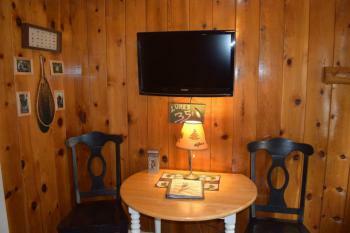 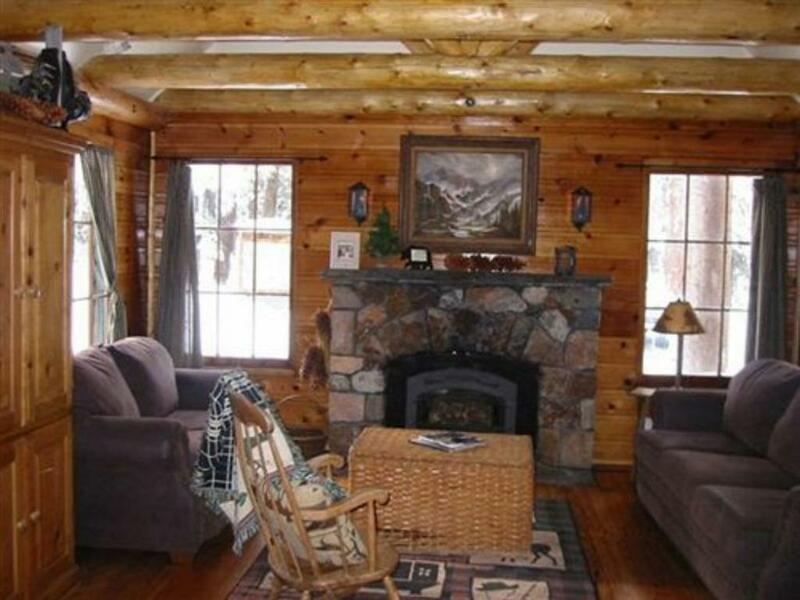 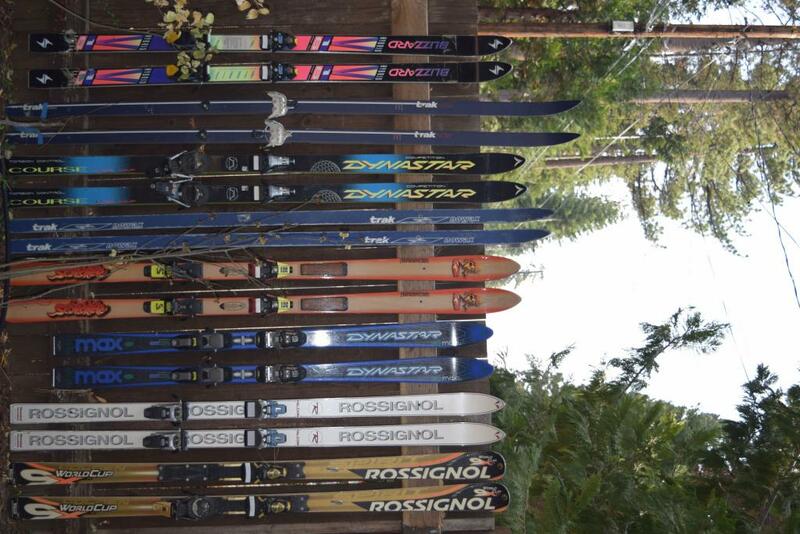 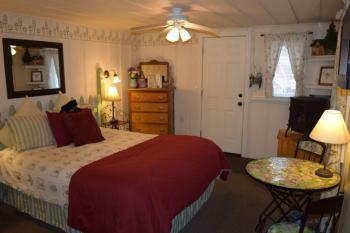 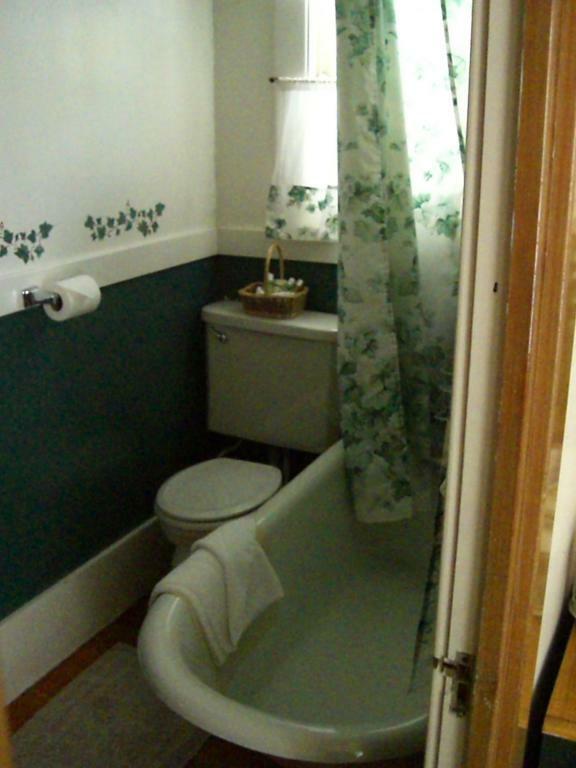 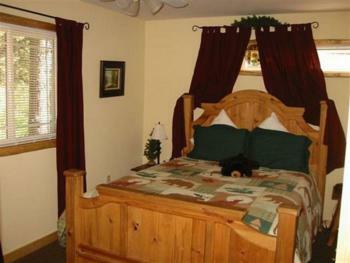 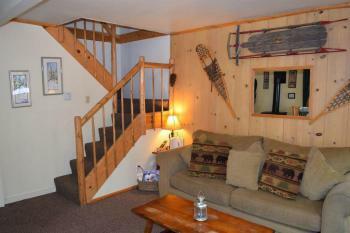 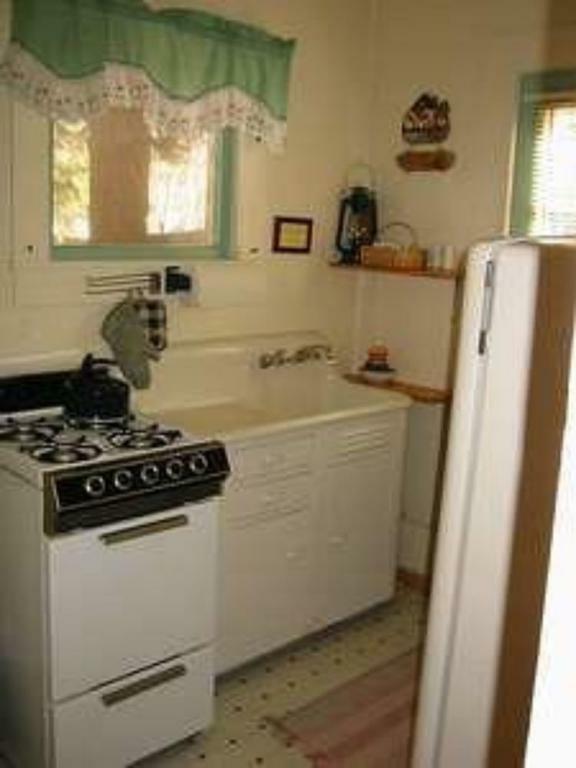 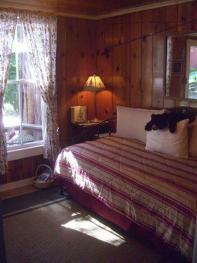 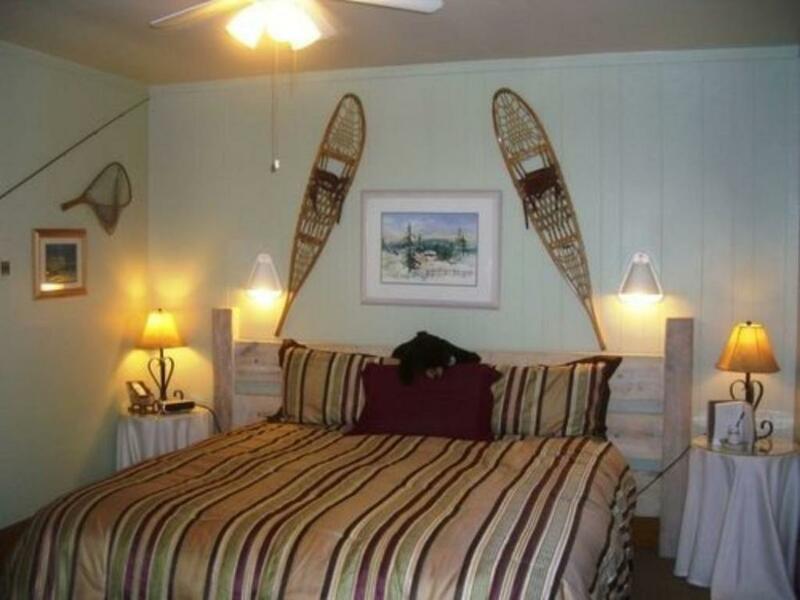 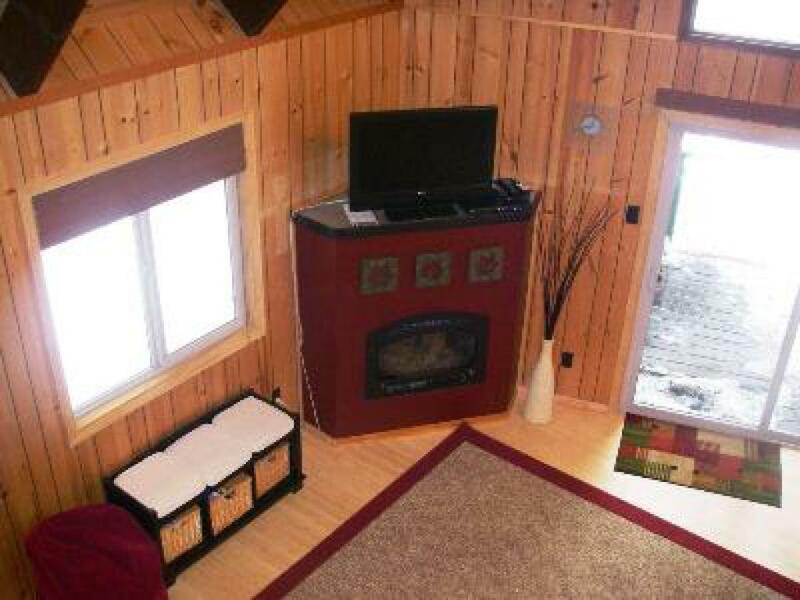 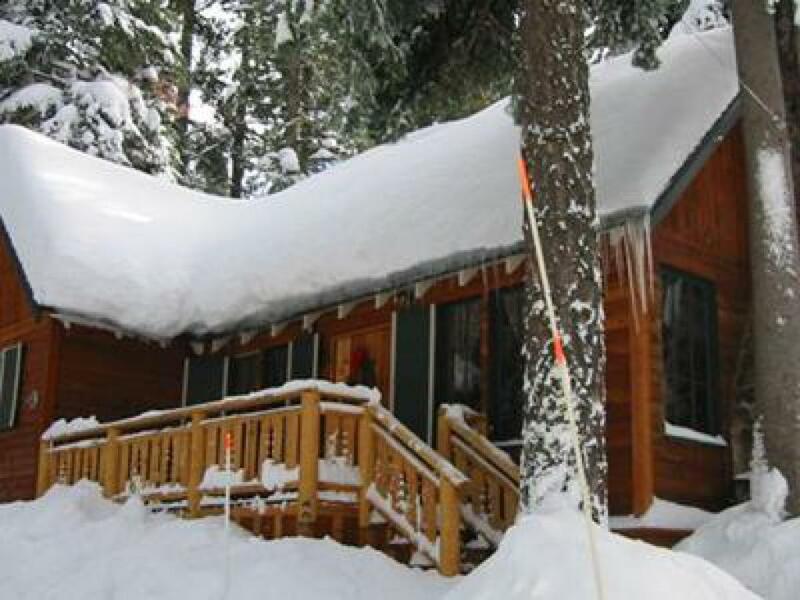 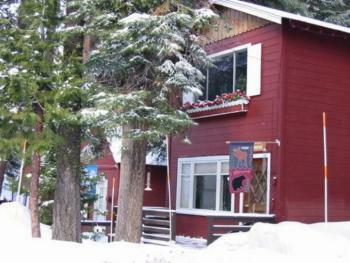 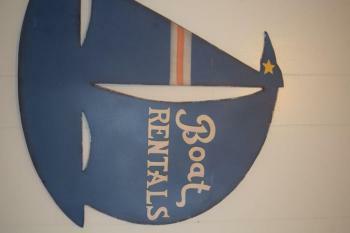 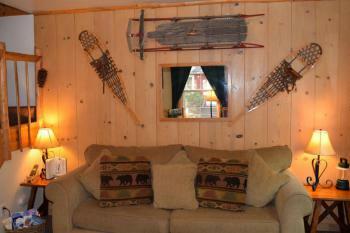 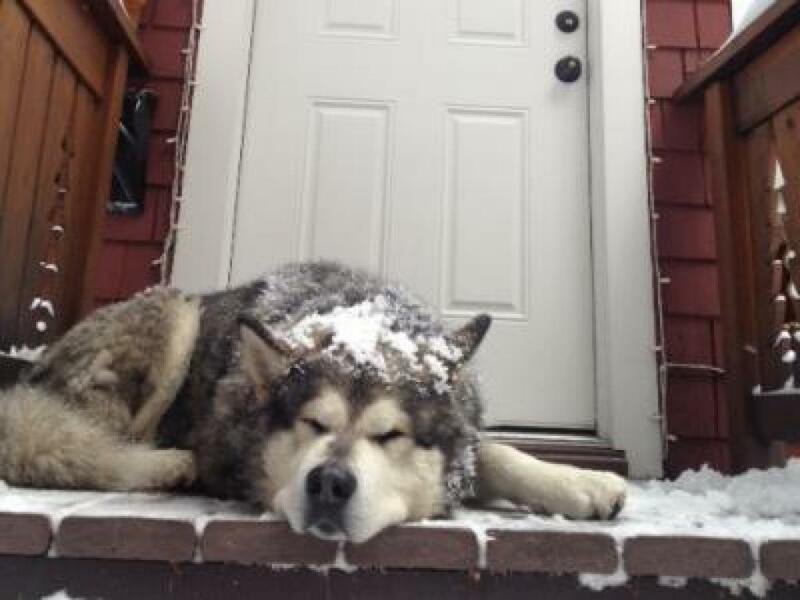 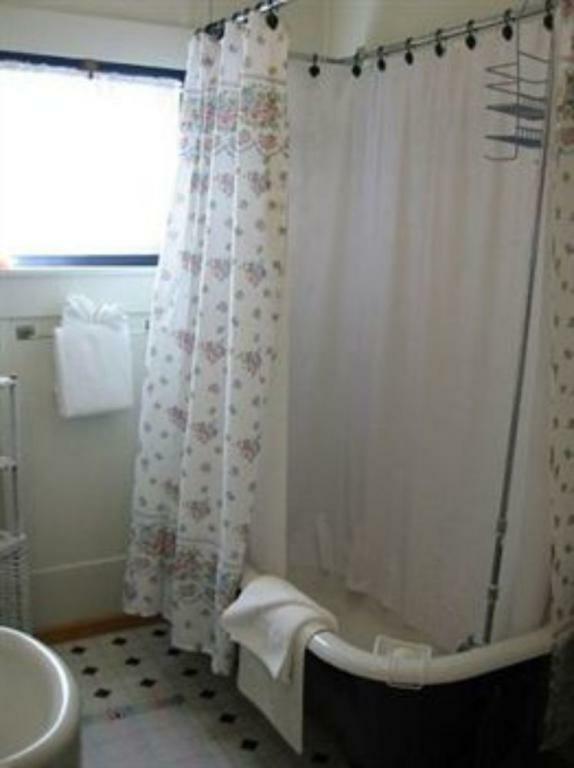 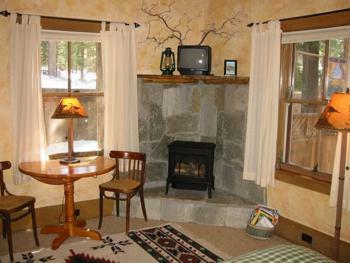 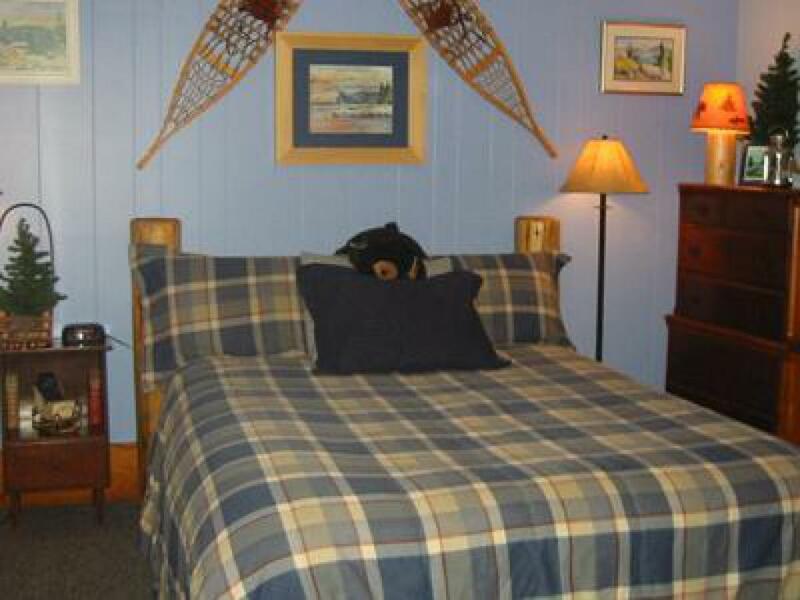 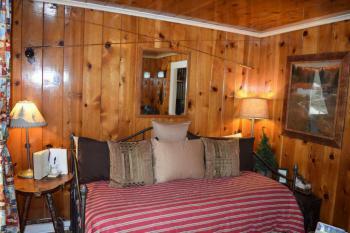 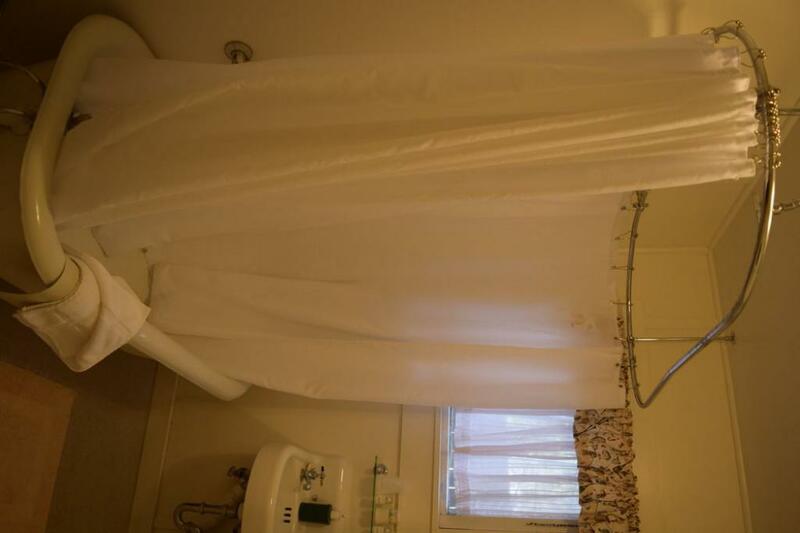 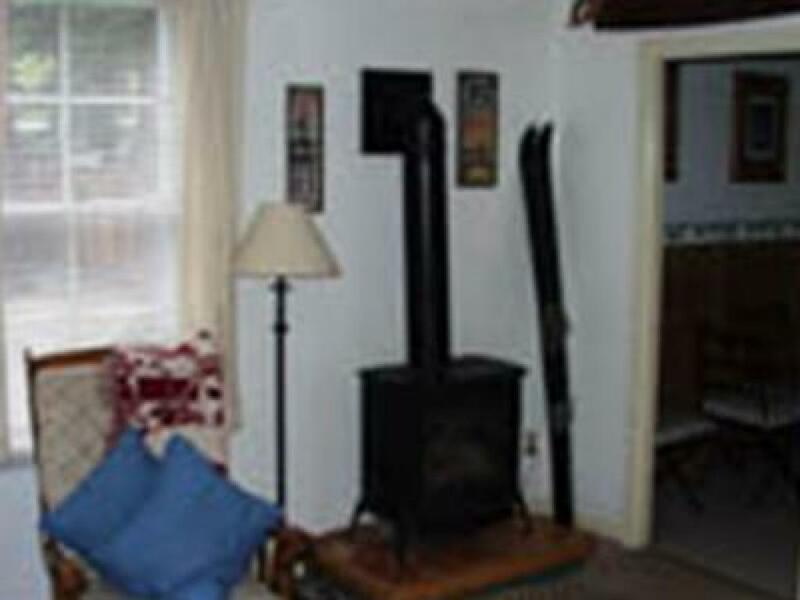 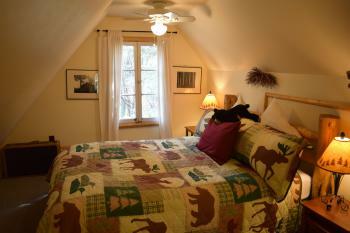 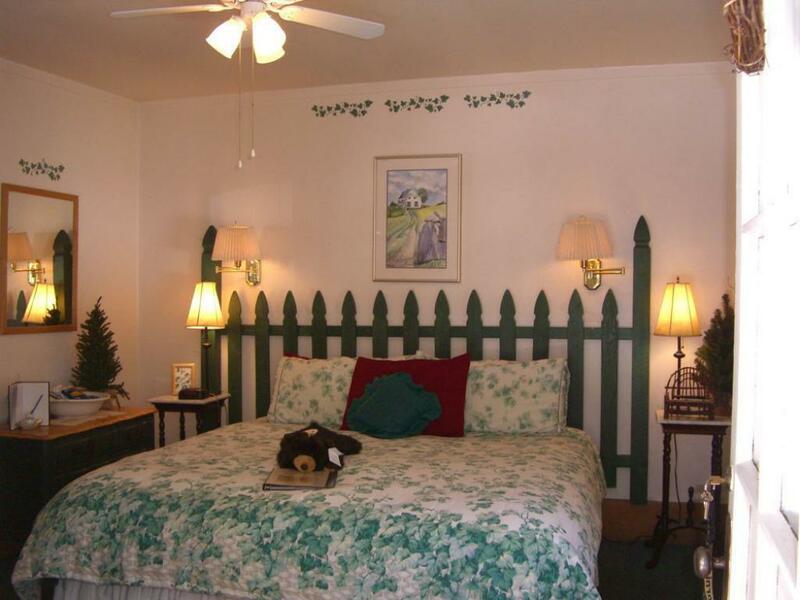 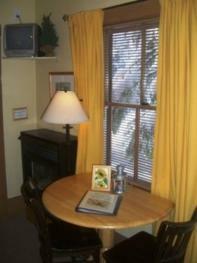 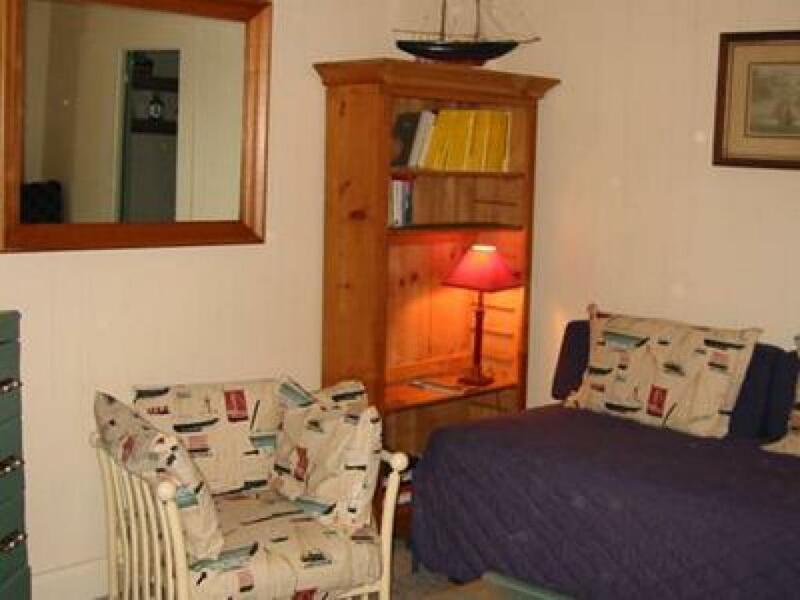 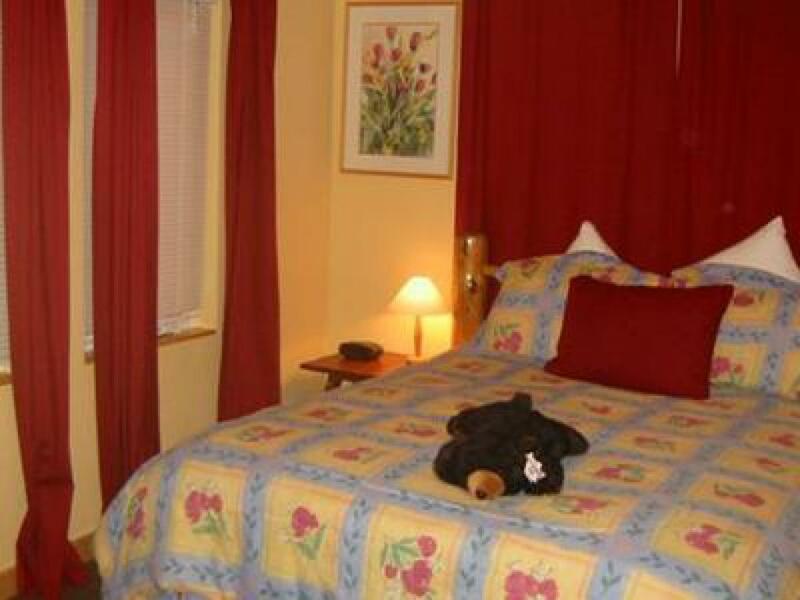 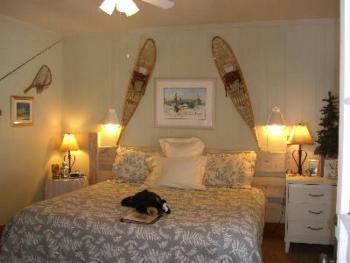 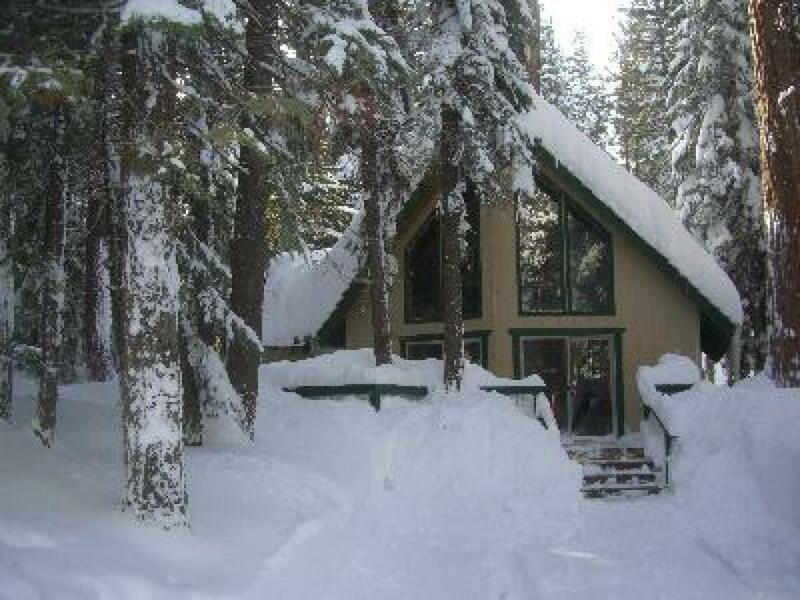 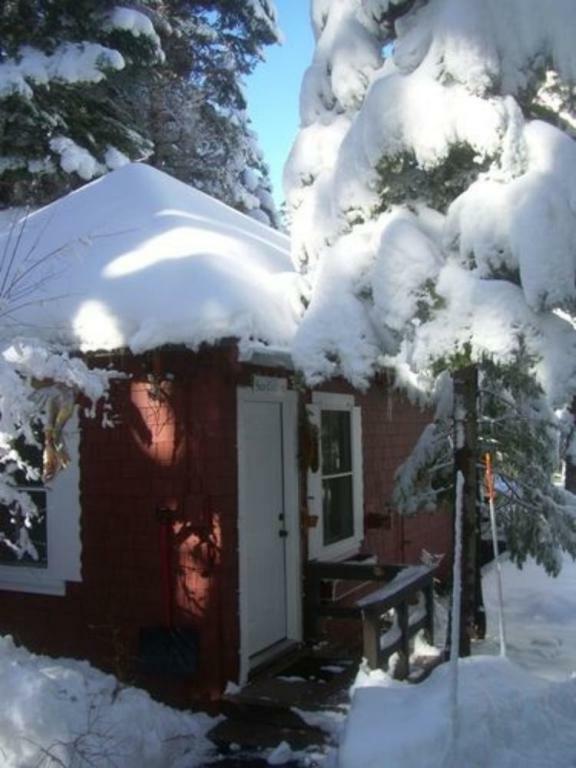 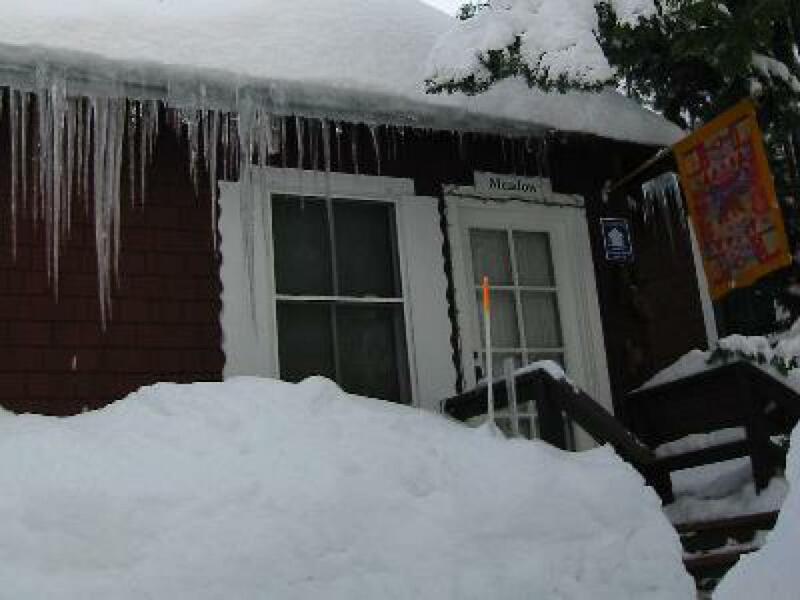 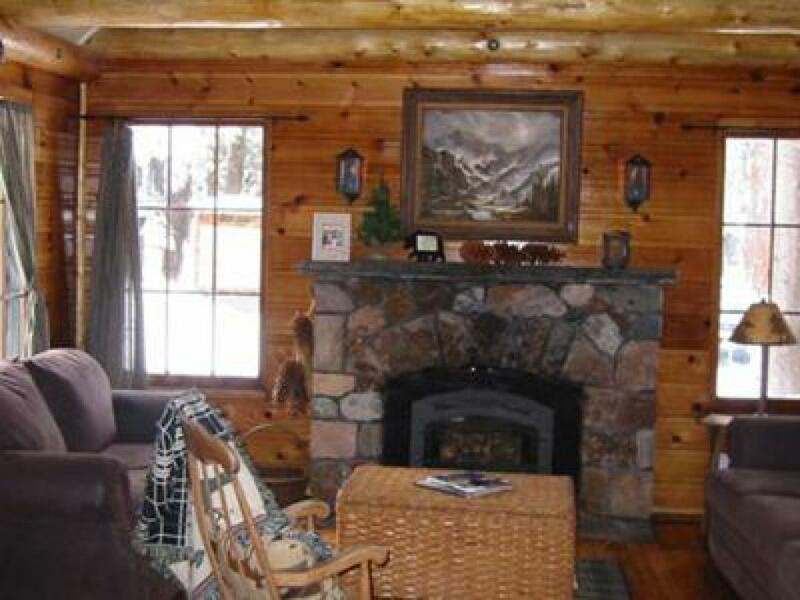 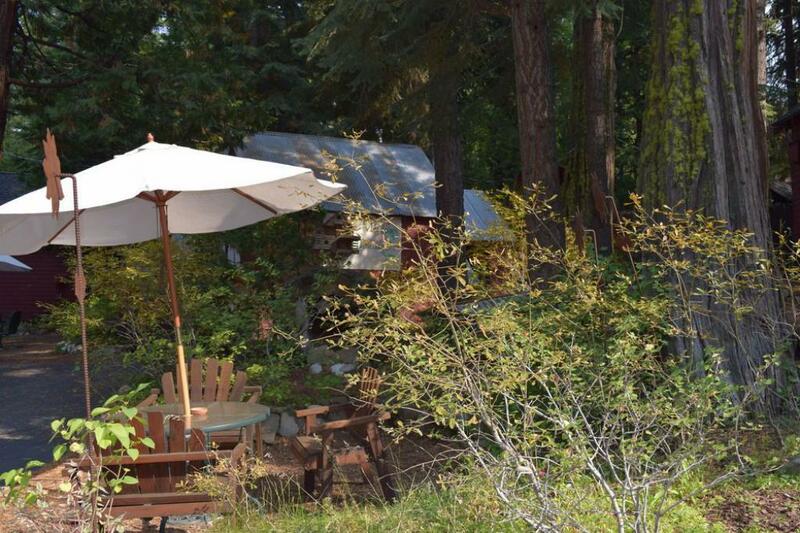 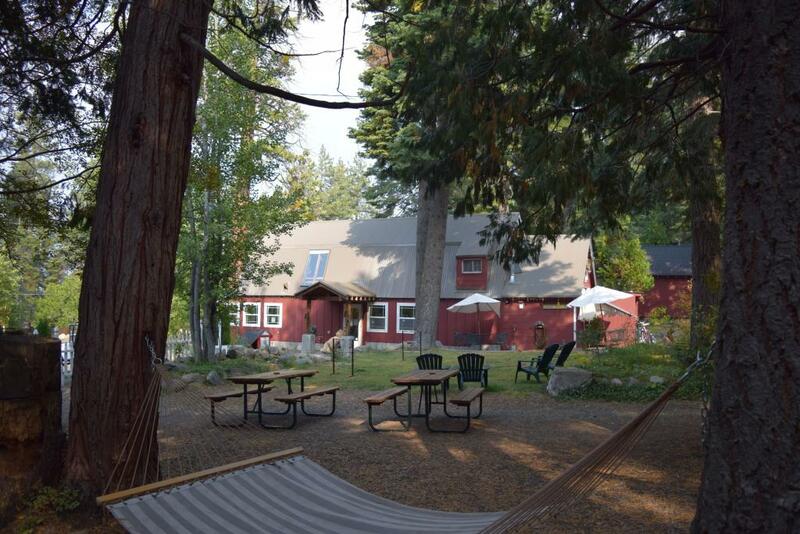 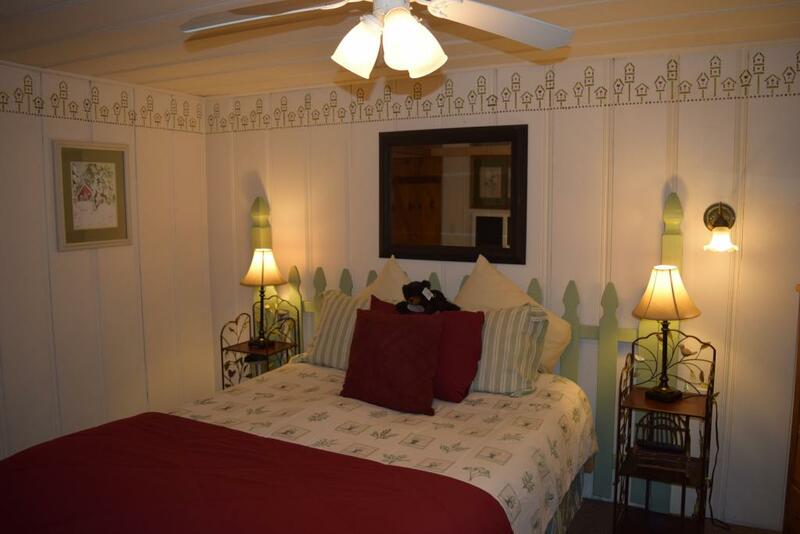 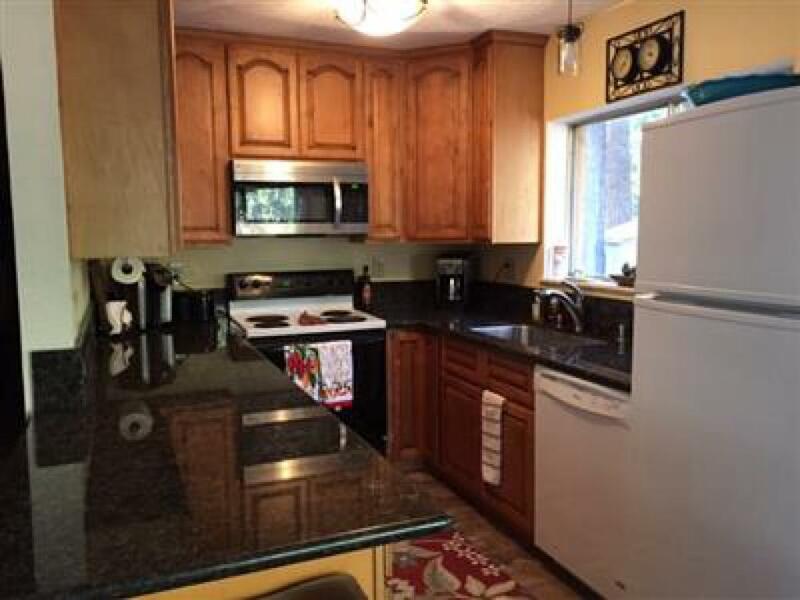 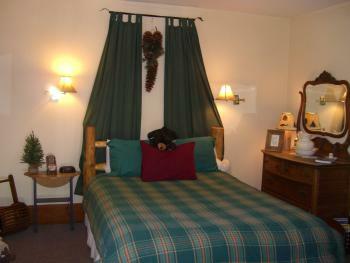 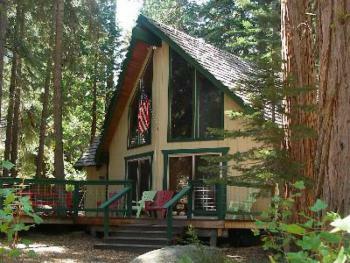 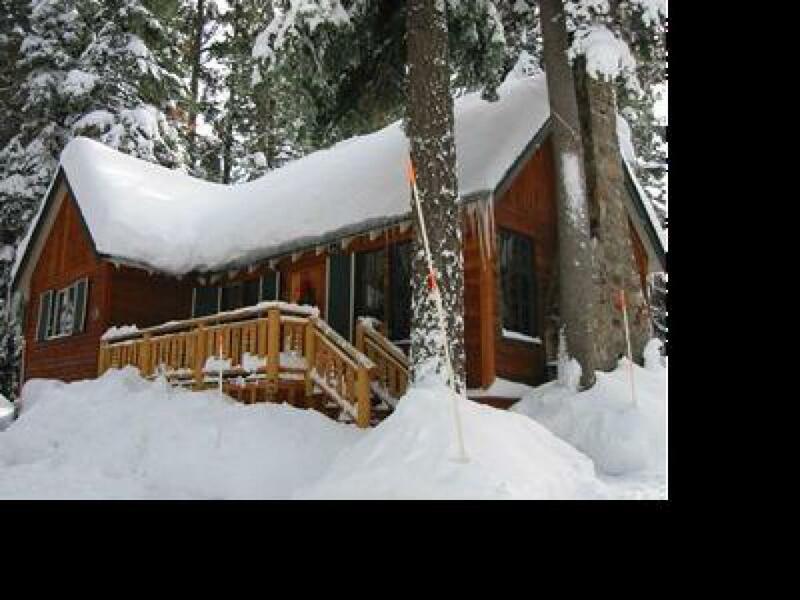 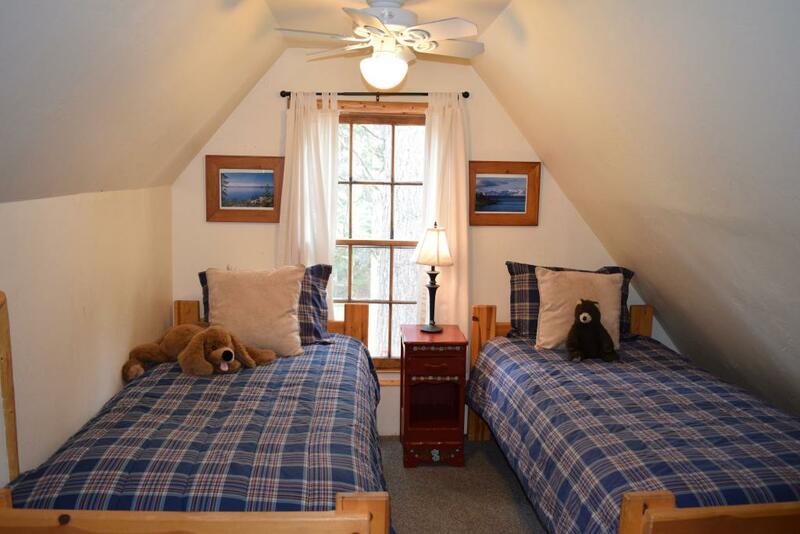 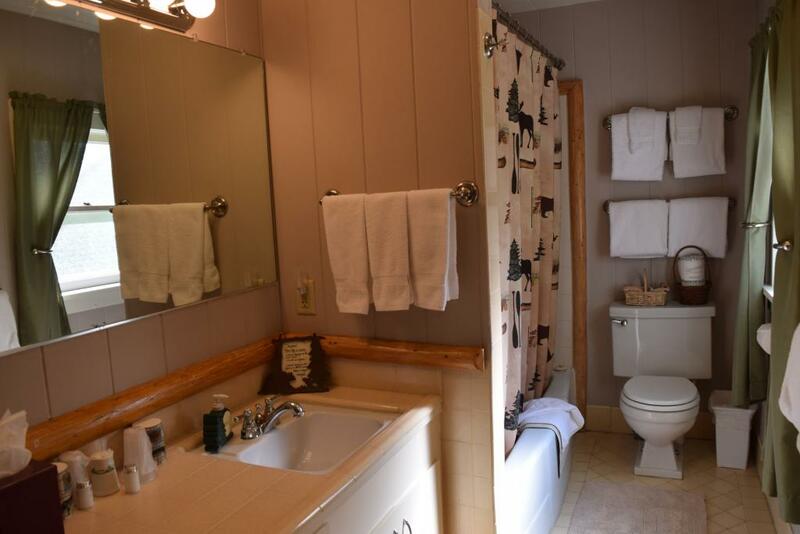 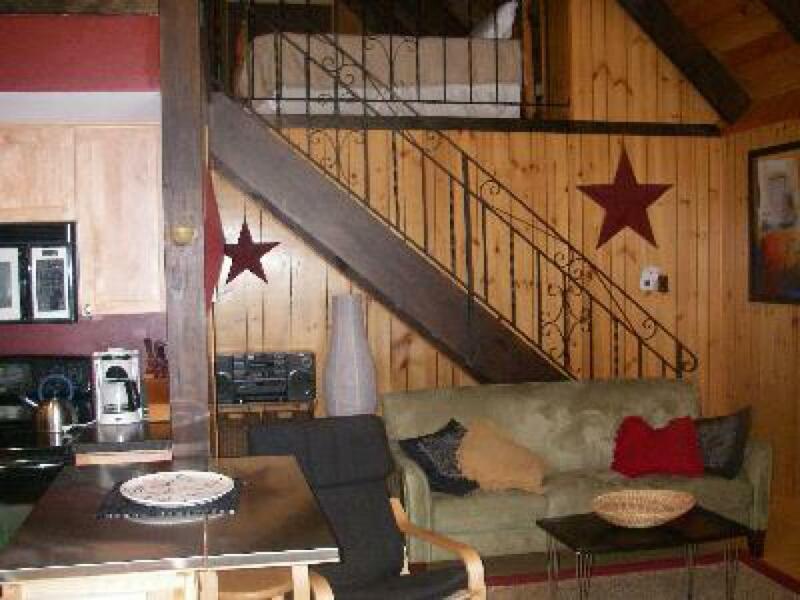 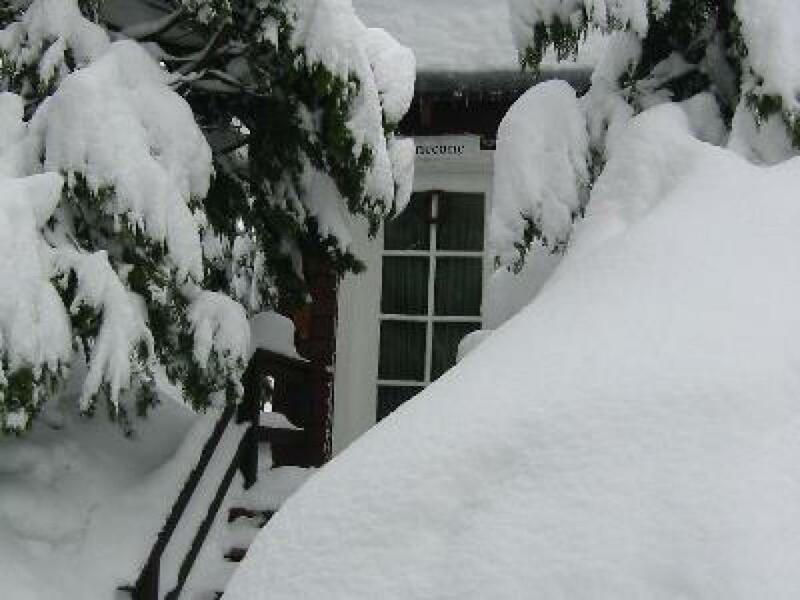 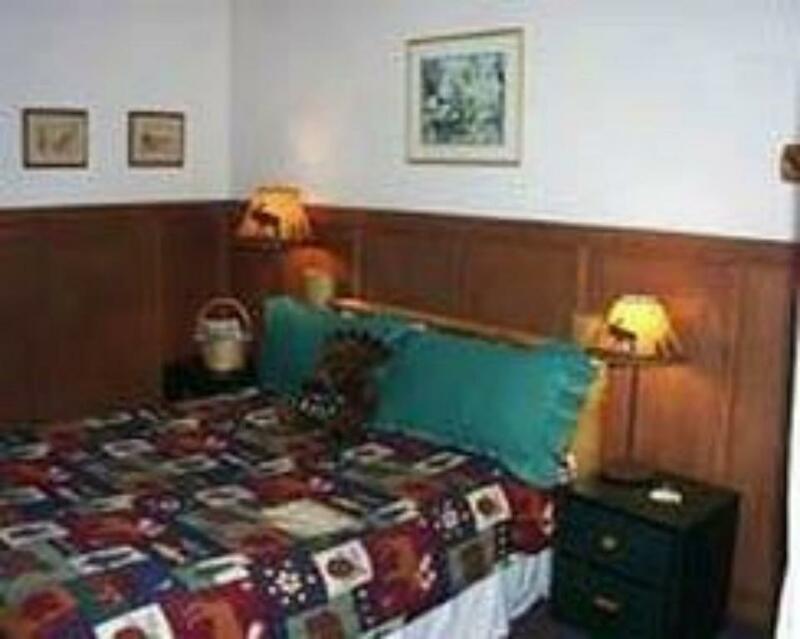 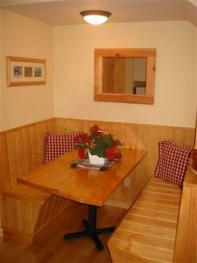 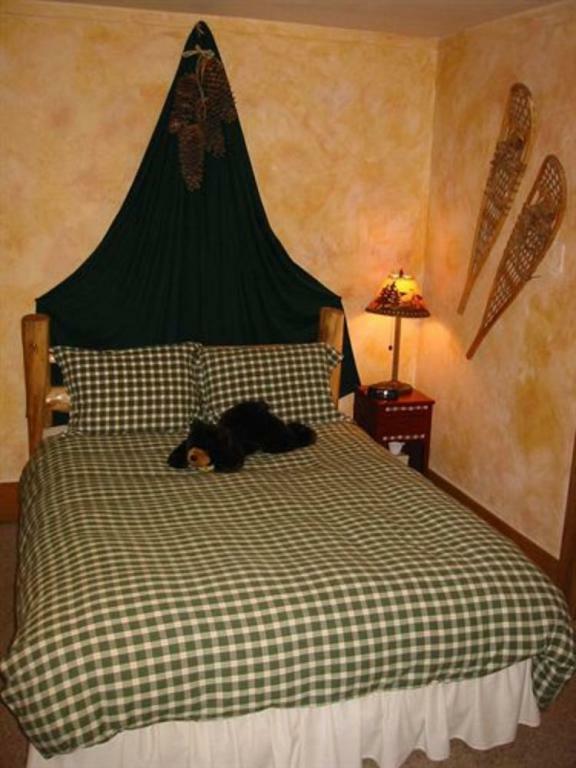 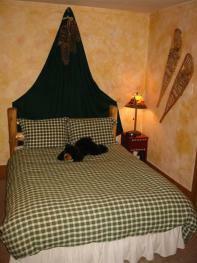 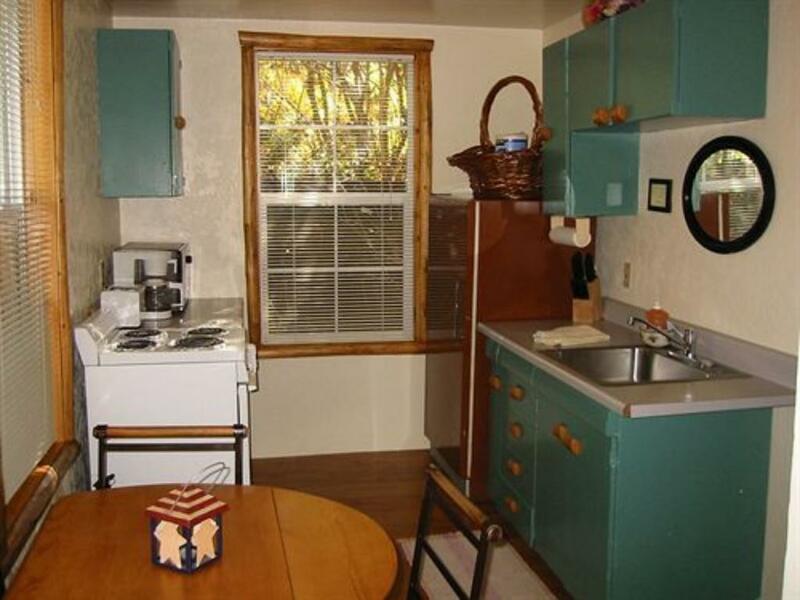 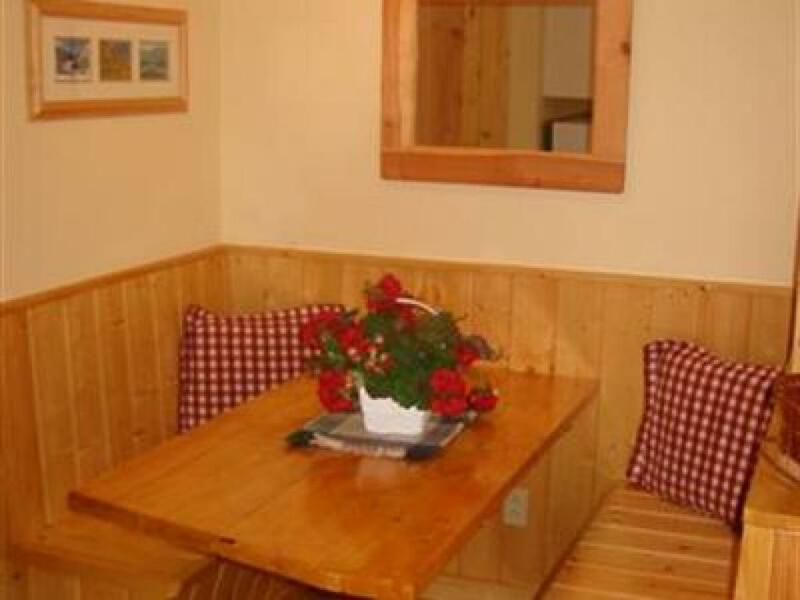 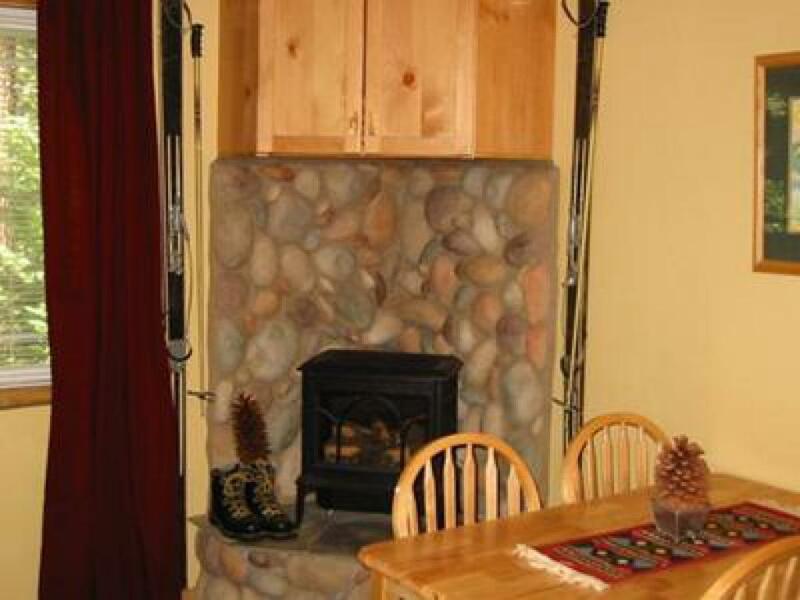 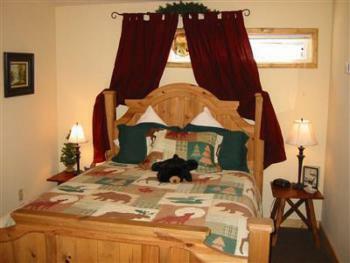 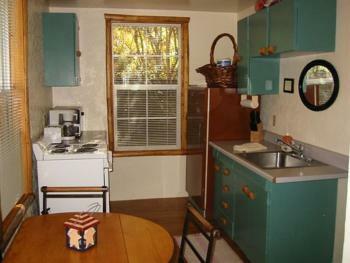 All of our rentals are close to beaches, skiing, snowshoeing, kayaking, hiking trails. 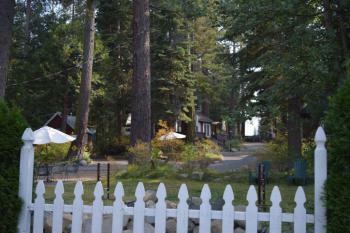 The Tahoe Rim Trail, Desolation Wilderness and the Pacific Crest Trail are literally in our backyard. 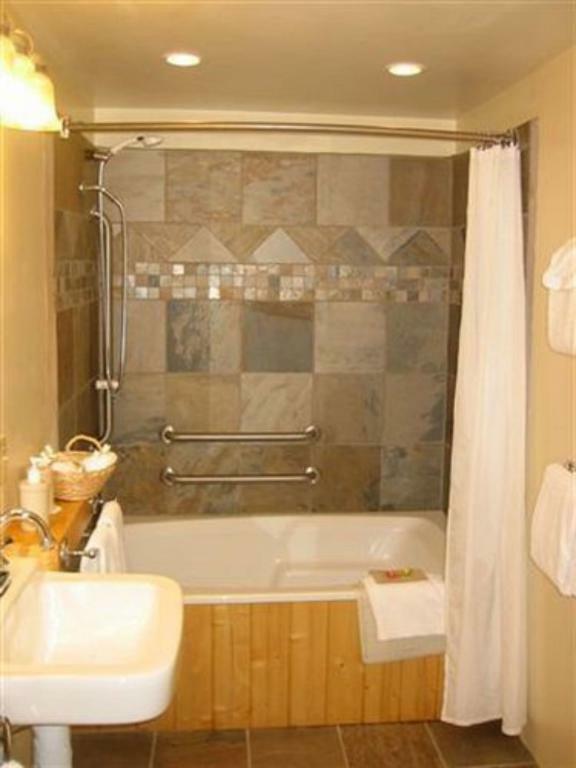 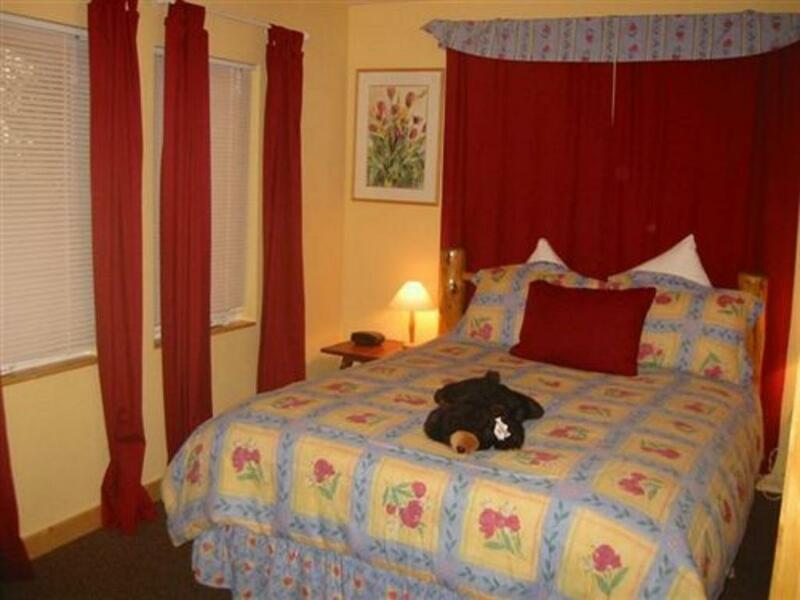 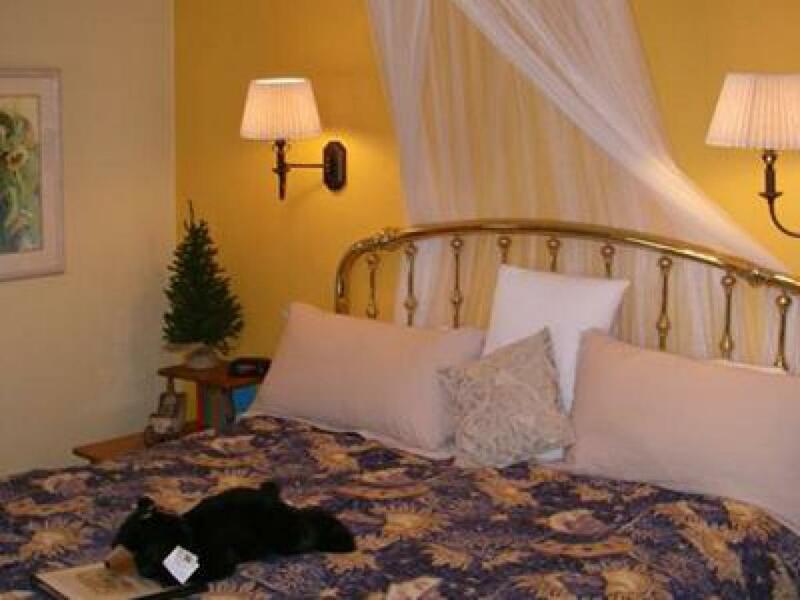 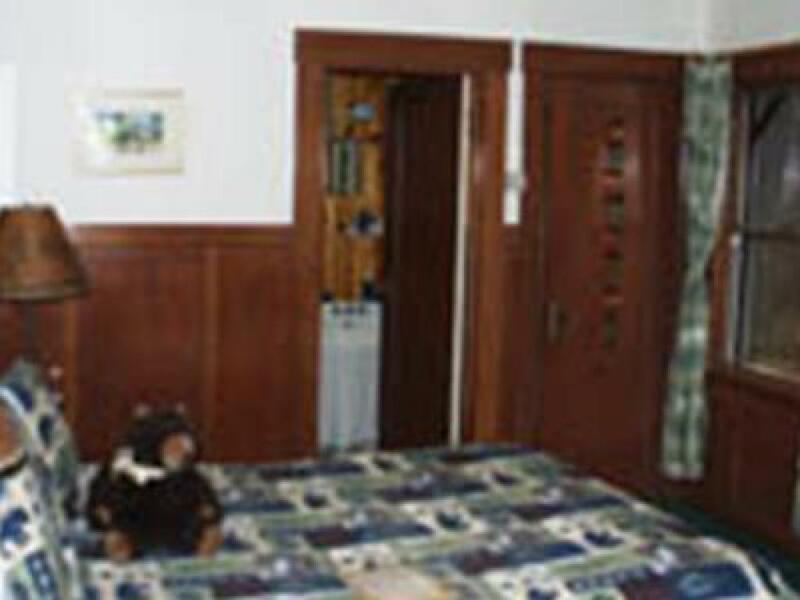 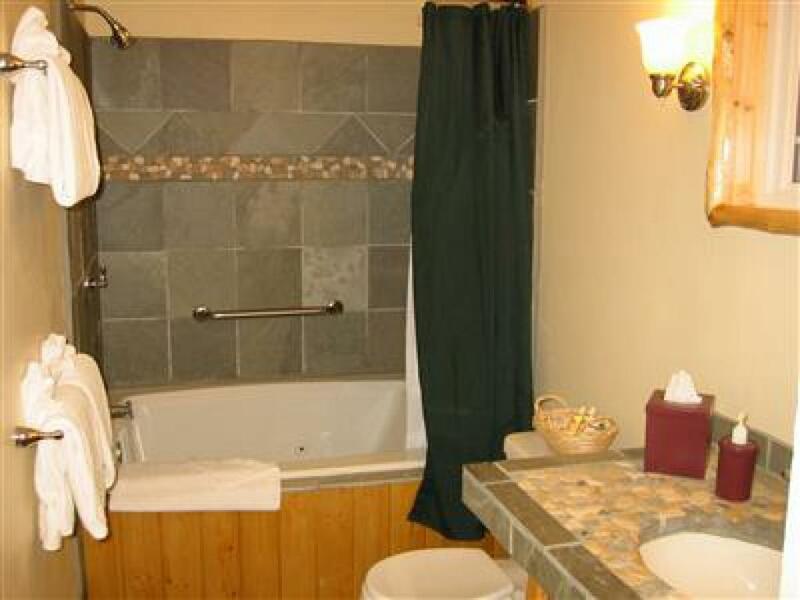 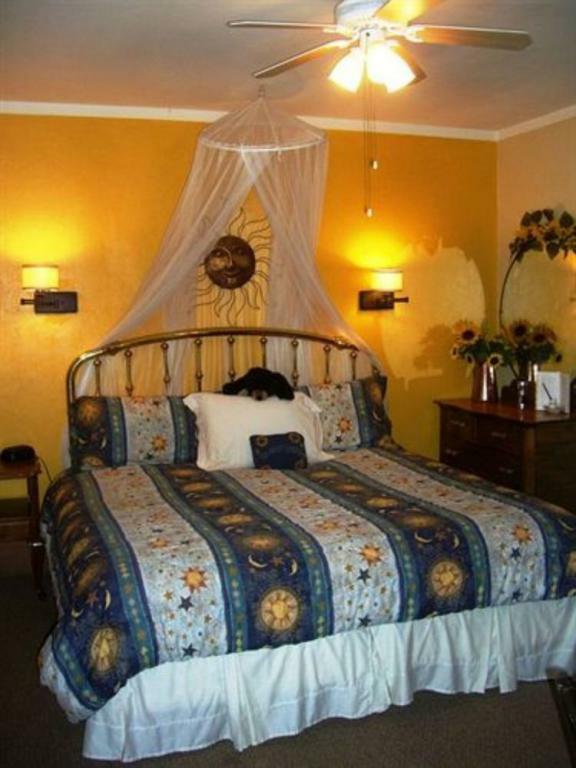 Our Edelweiss Suite is fully accessible. 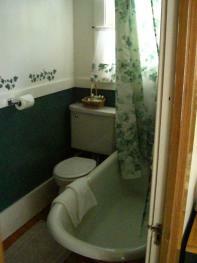 Please contact us directly if you have special needs or if you would like to reserve this suite. 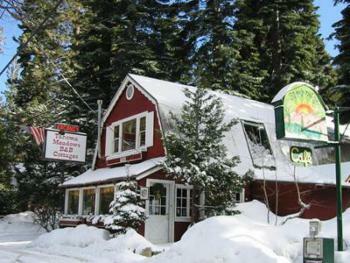 Exit turning South on Hwy 89 South to Tahoe City. 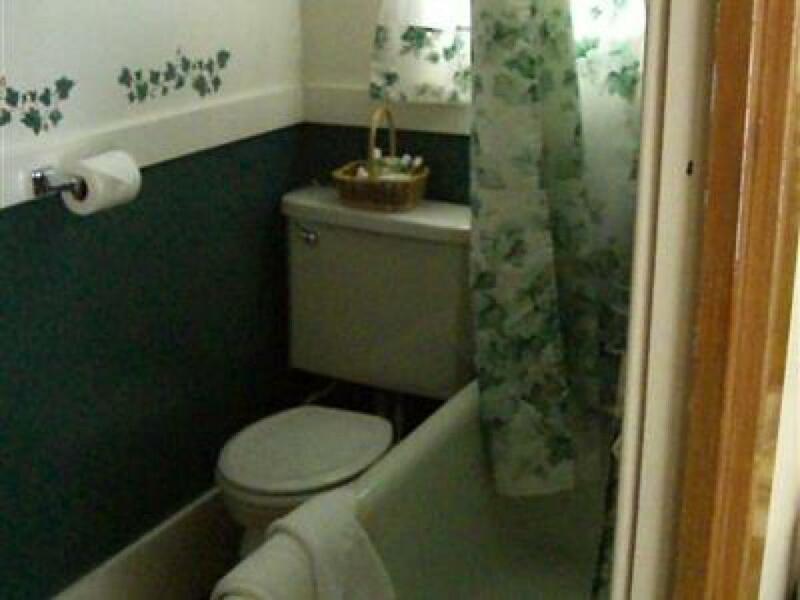 You'll see us on the right. 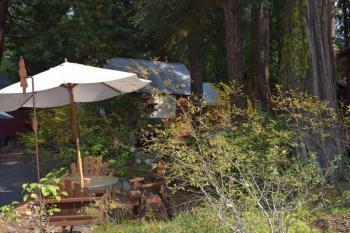 Continue East on Hwy 80 towards Sacramento. Turn right at the light in Tahoe City continuing South on Hwy 89 towards Emerald Bay/South Lake Tahoe. Tahoma Meadows is 8.5 miles south of Tahoe City on the right (mountain) side. November to May: Please be prepared for winter driving conditions at any time from November to May. 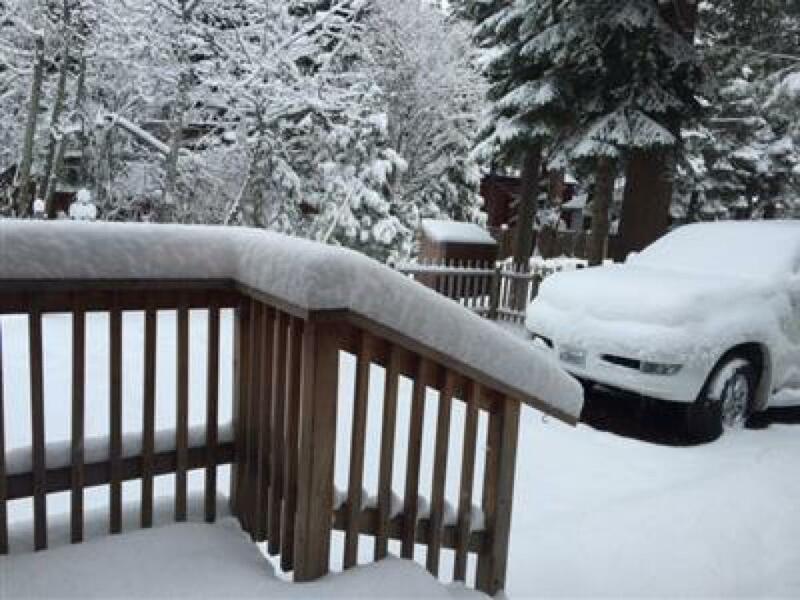 This means having chains or a 4wd with snow tires. 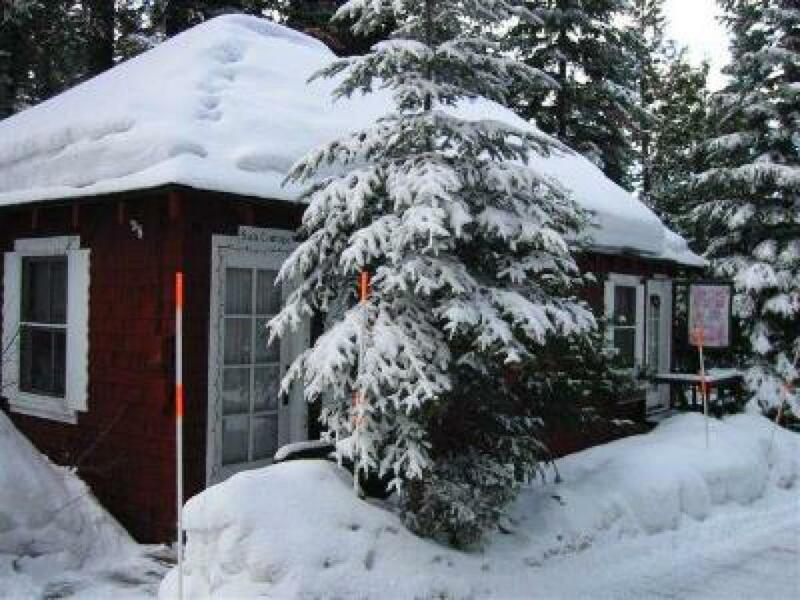 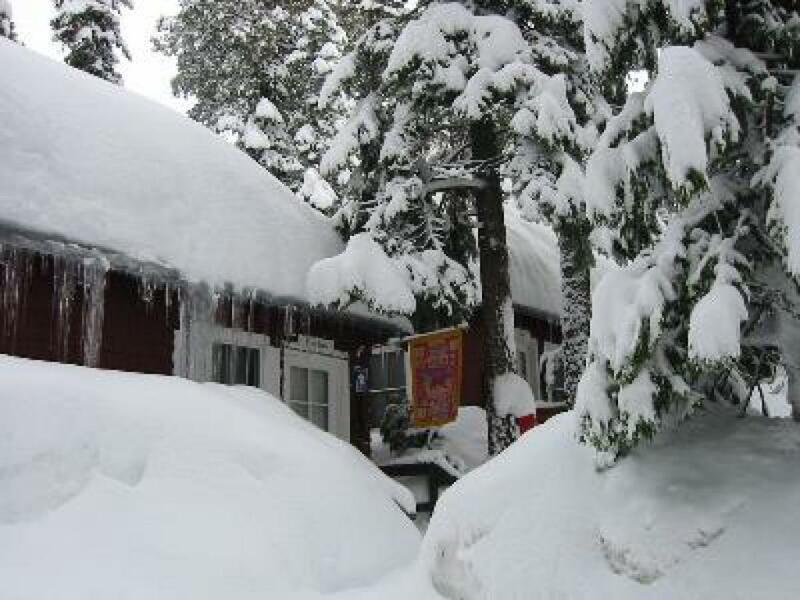 Plan on arriving via Truckee/Tahoe City as Hwy 89 at Emerald Bay does close frequently in the winter months and may remain closed for extended periods.